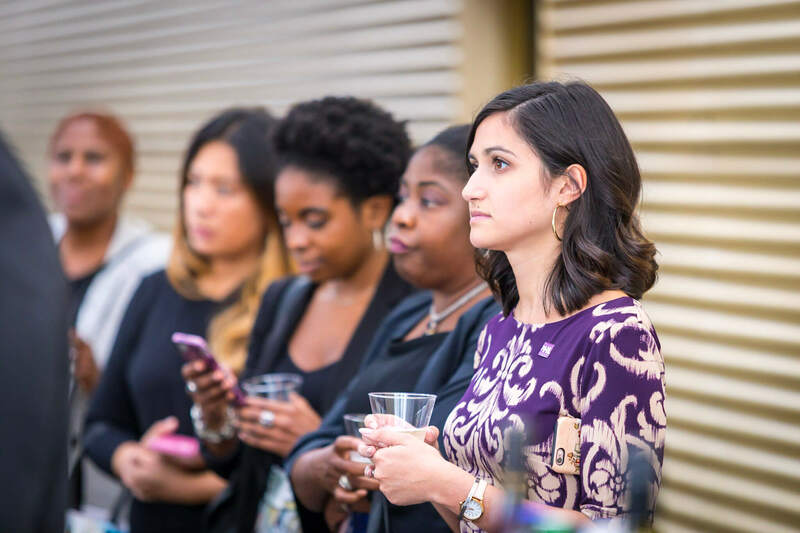 Event season is upon us! 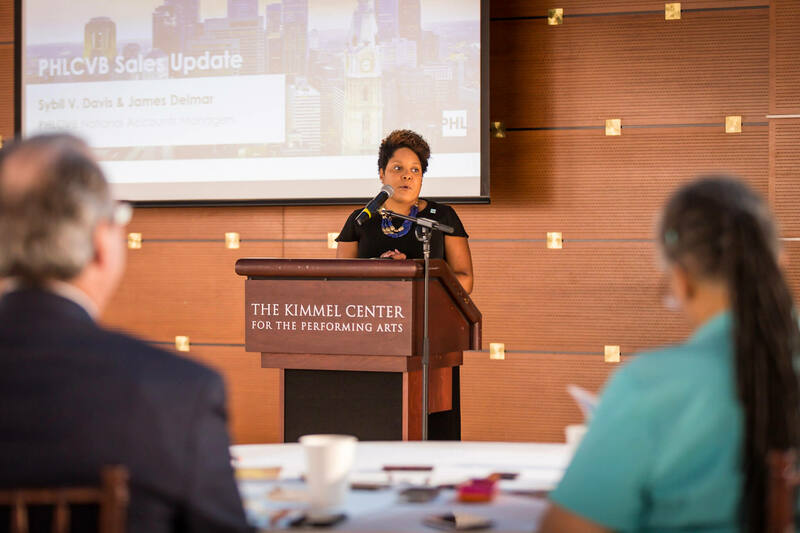 The PHL Diversity fall calendar is filled with conferences, events, receptions and galas that we will be participating in both locally and across the country. 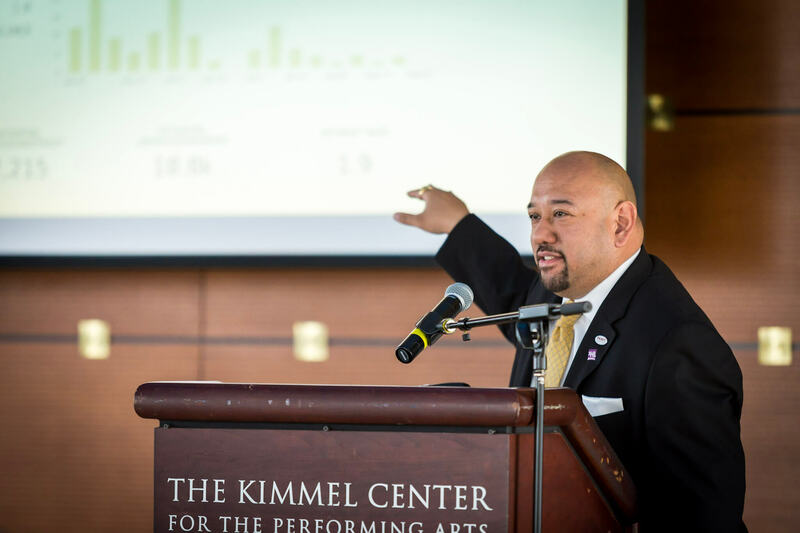 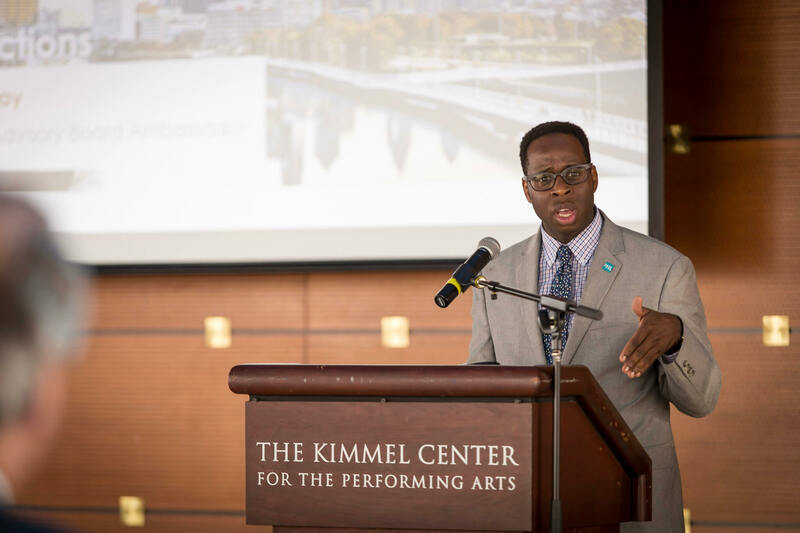 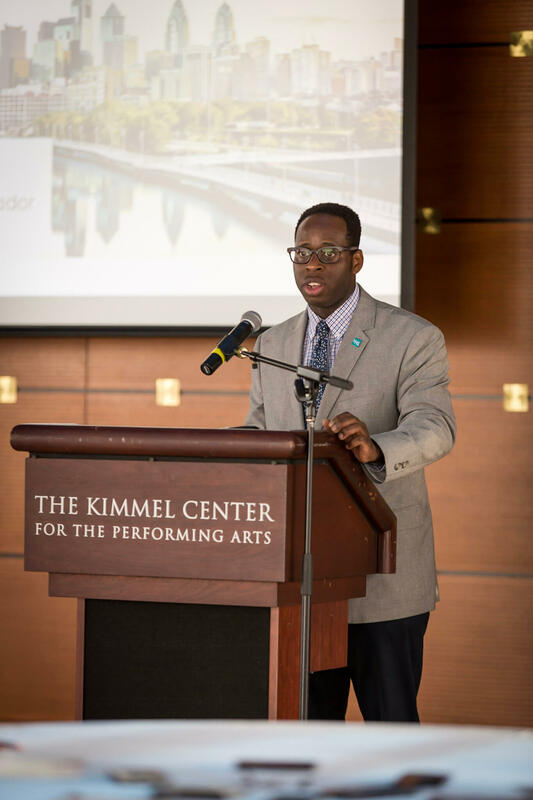 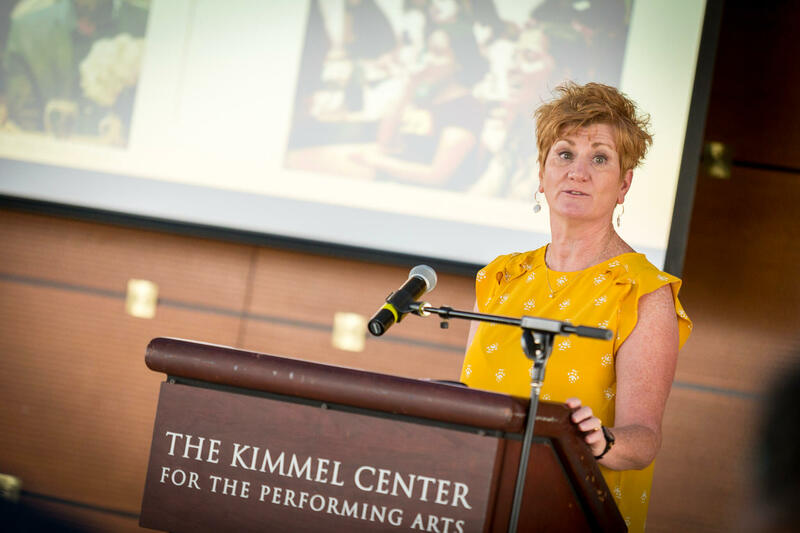 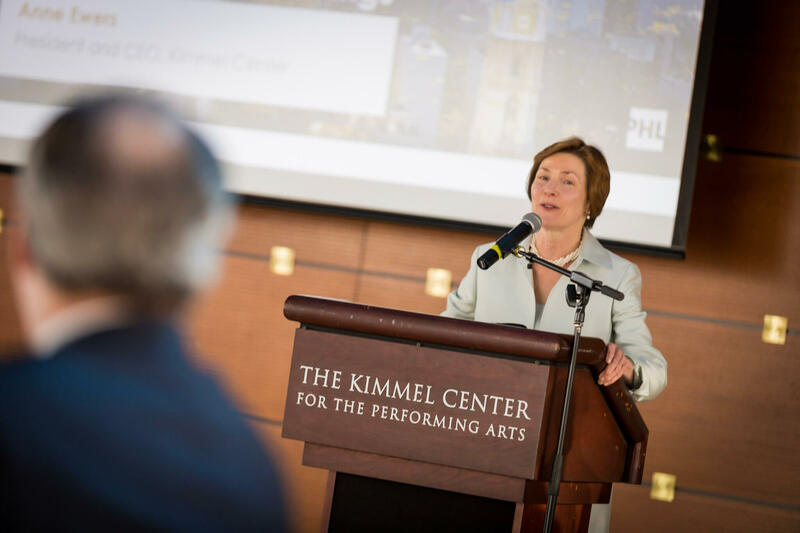 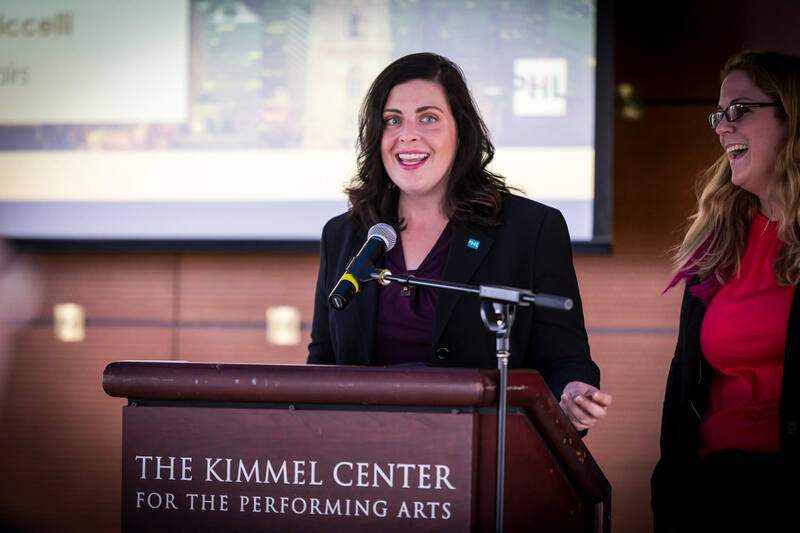 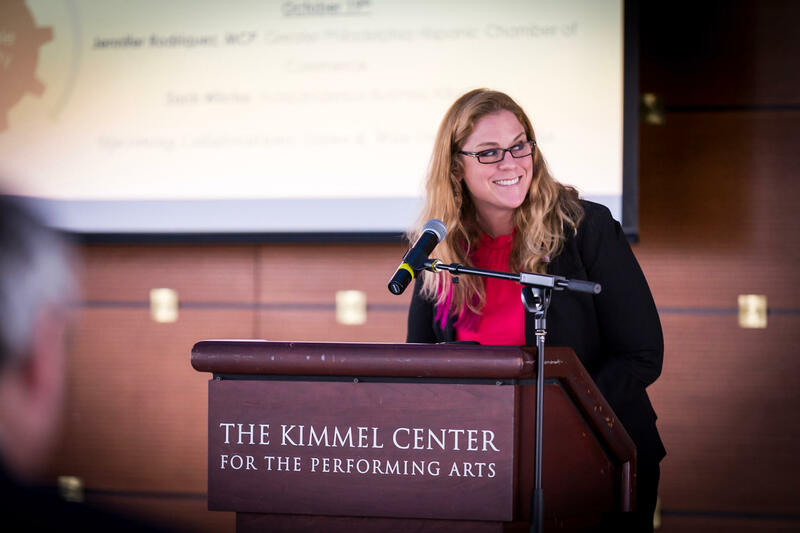 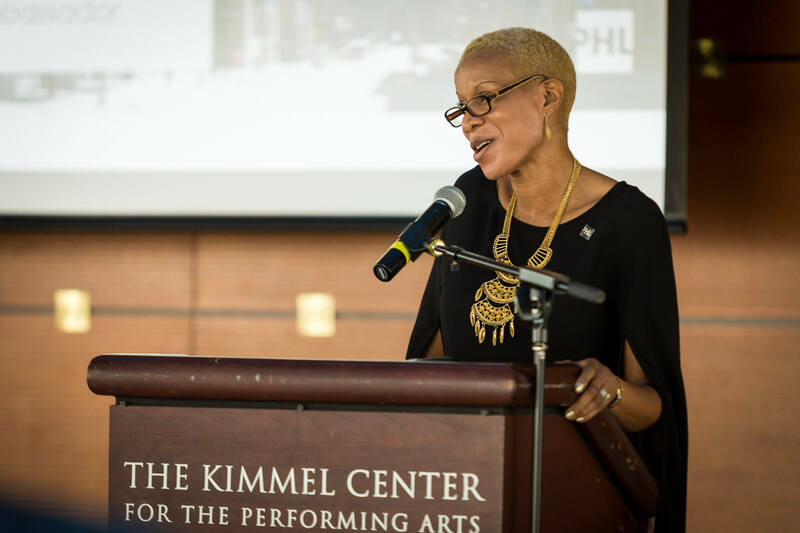 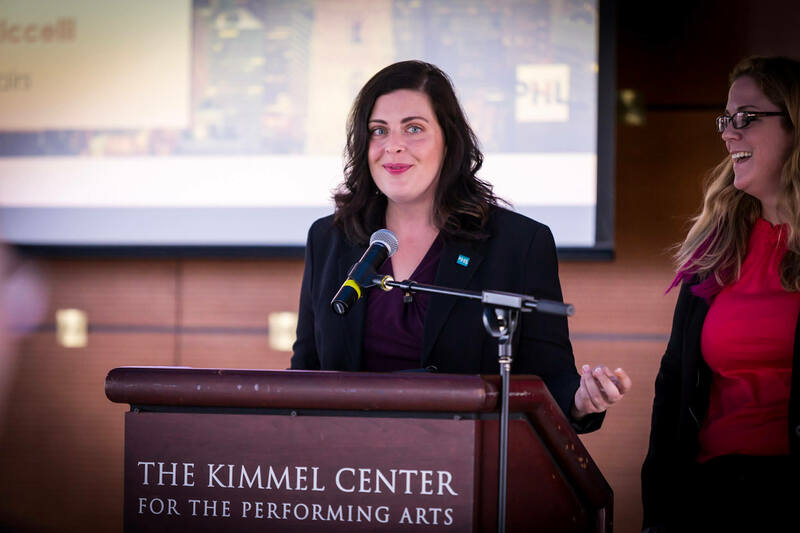 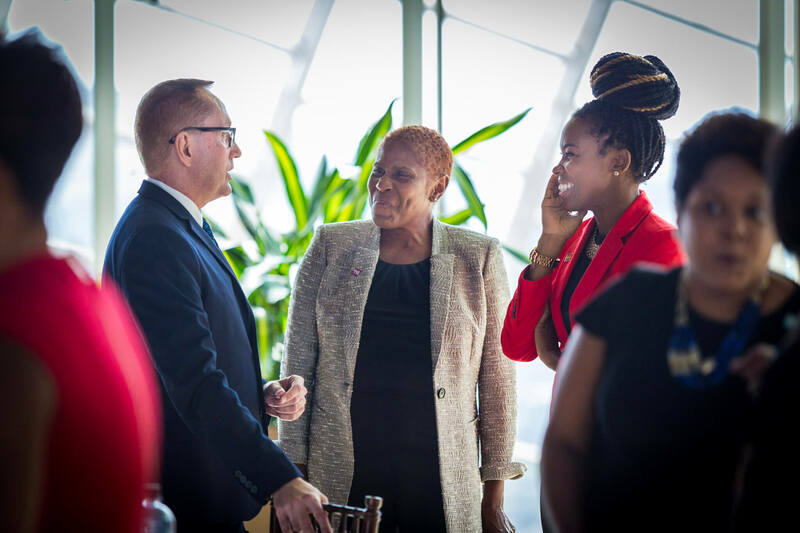 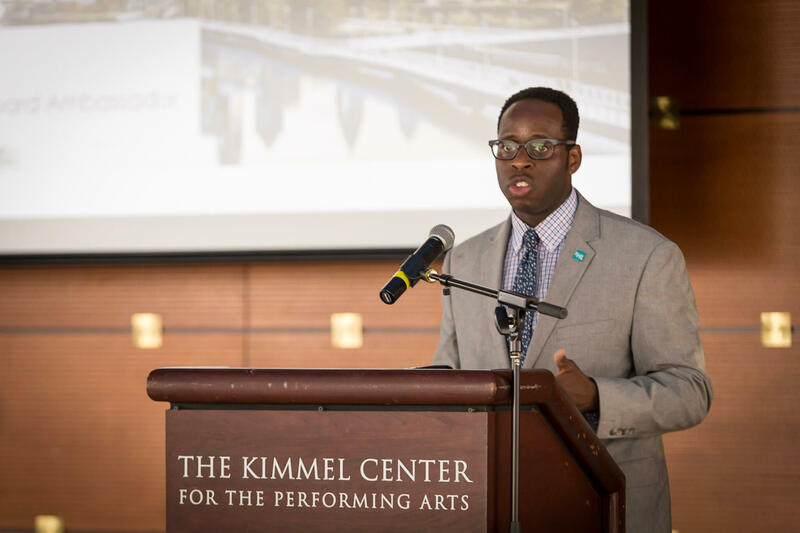 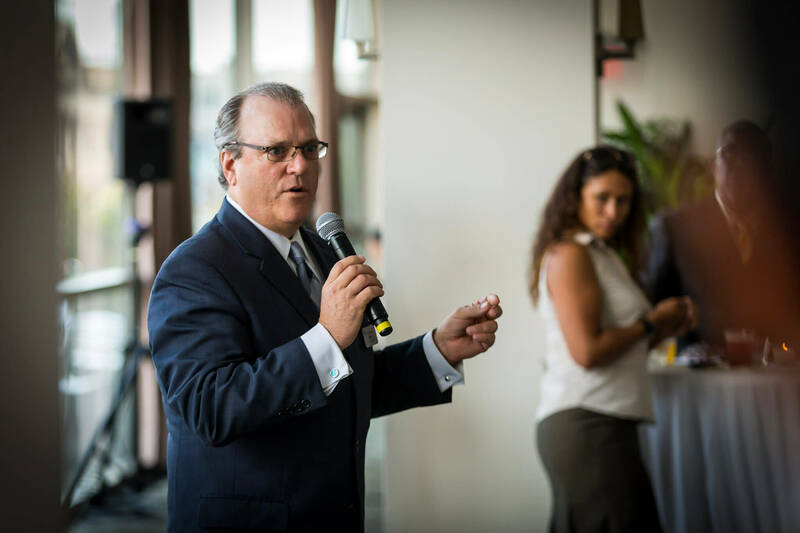 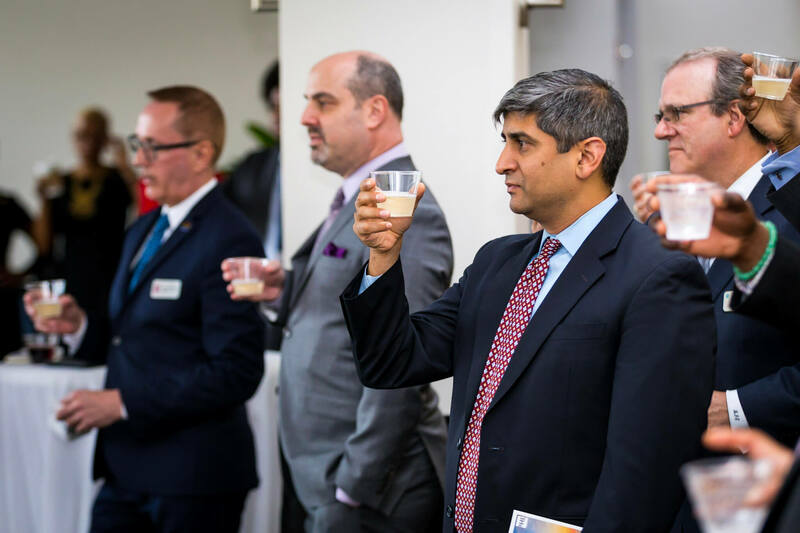 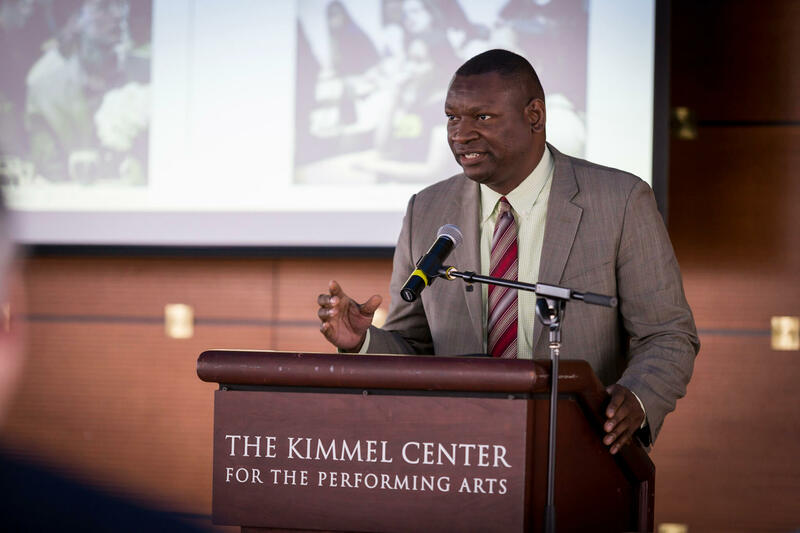 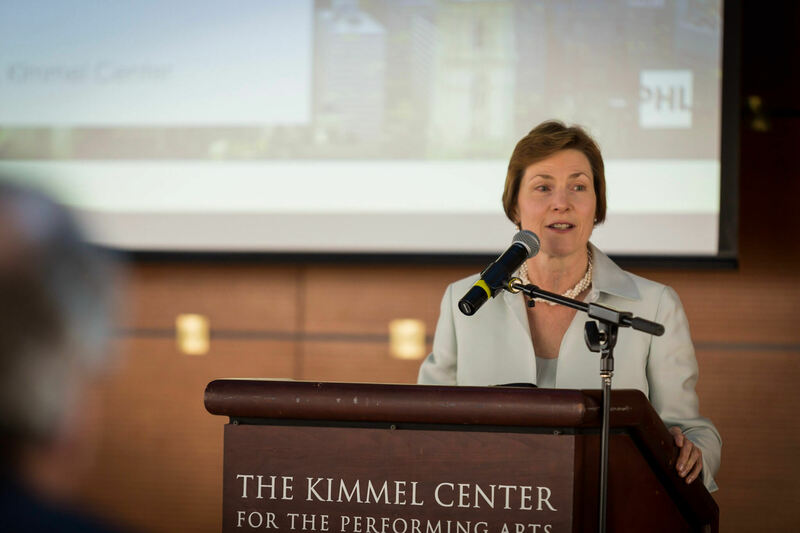 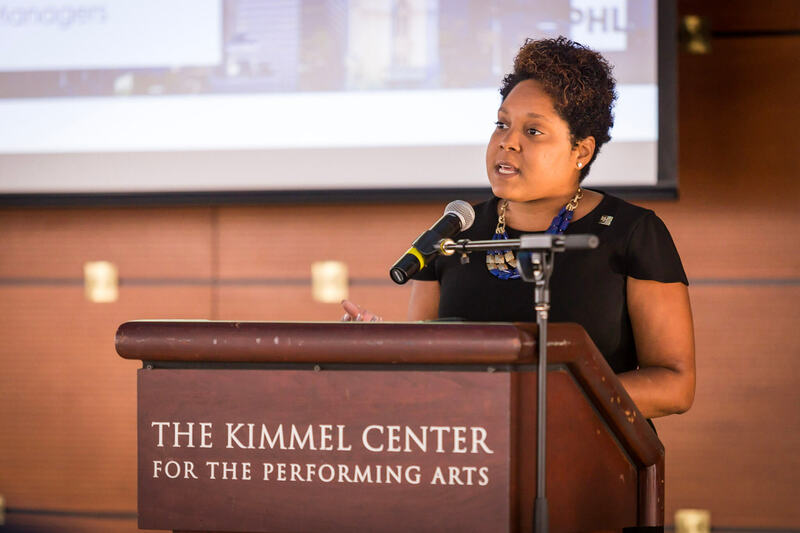 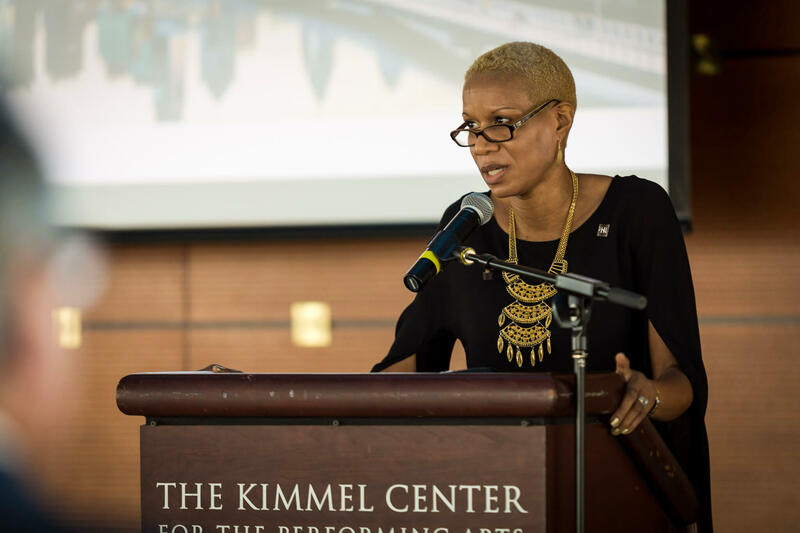 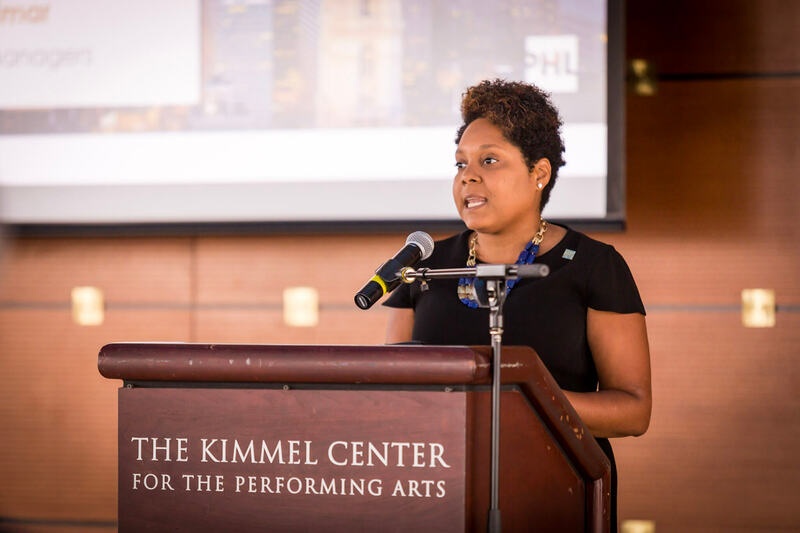 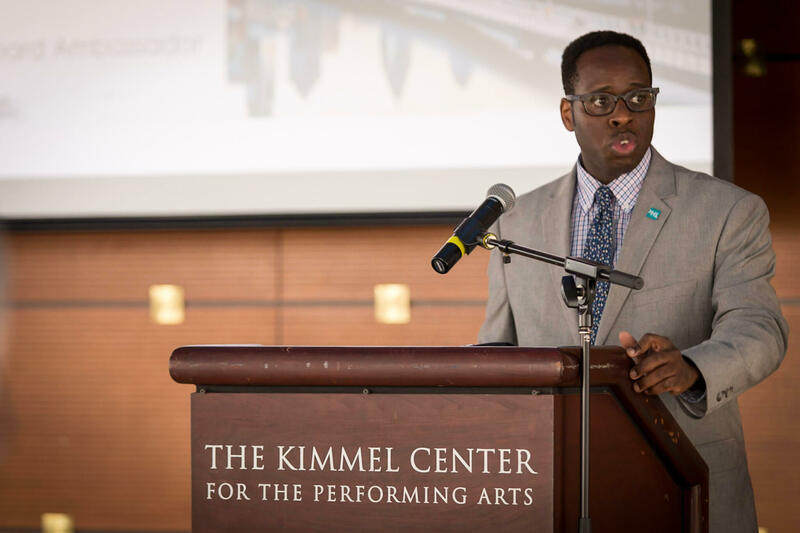 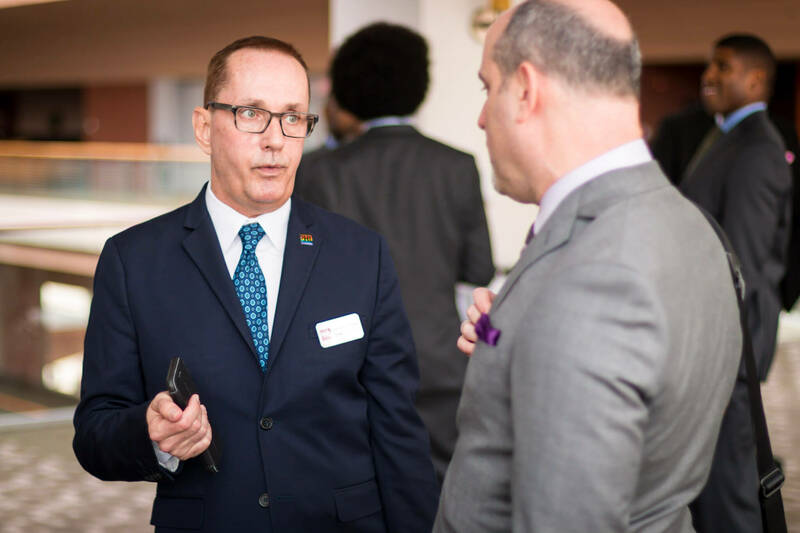 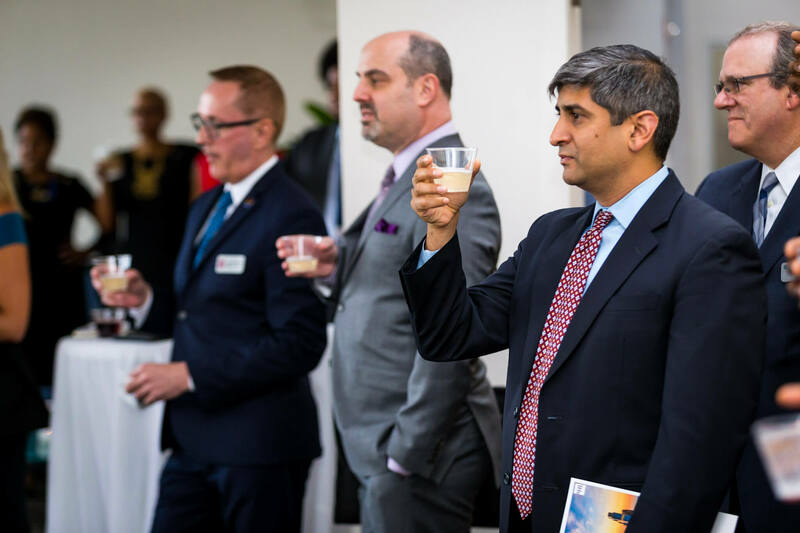 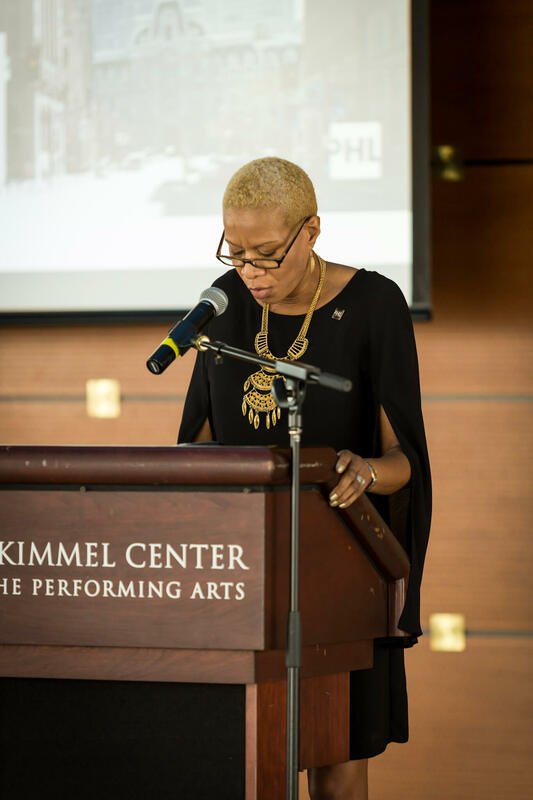 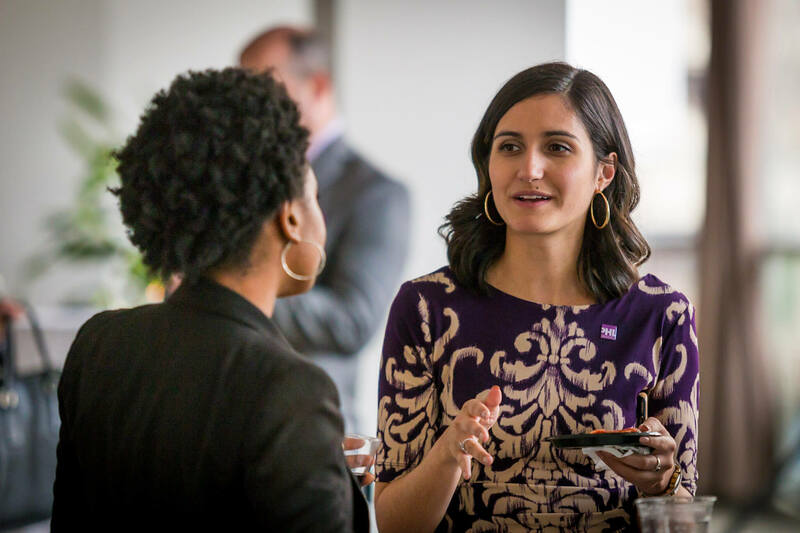 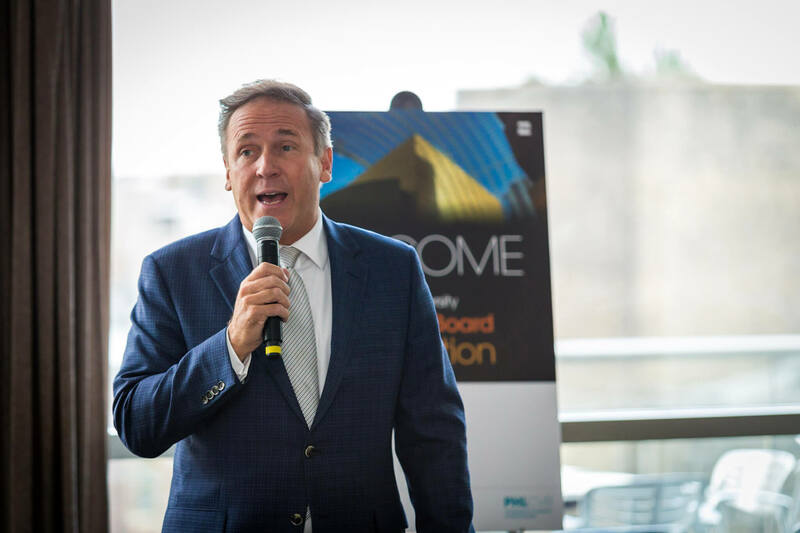 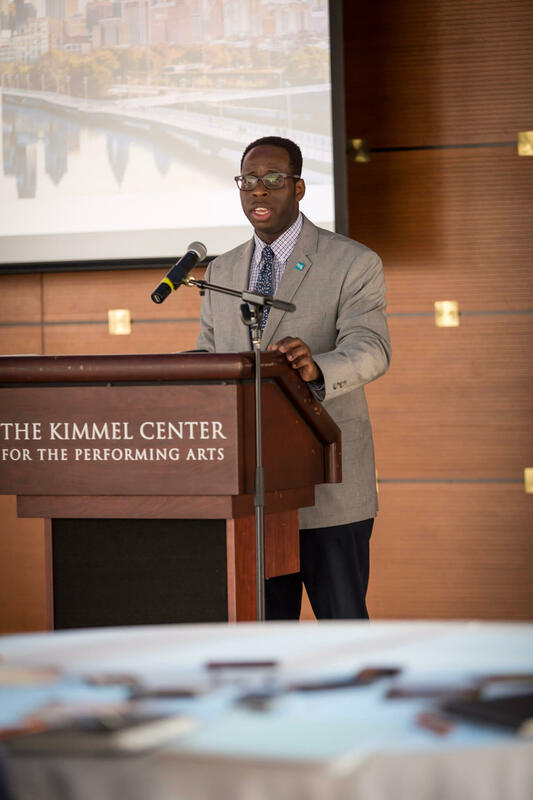 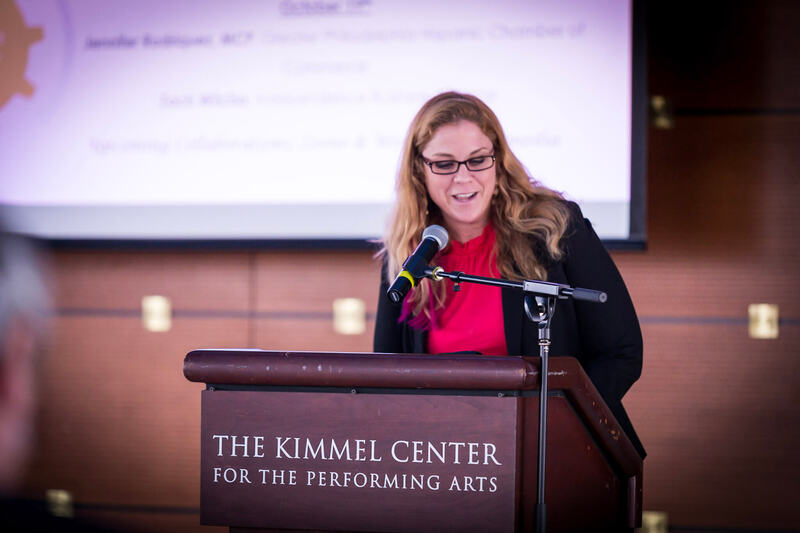 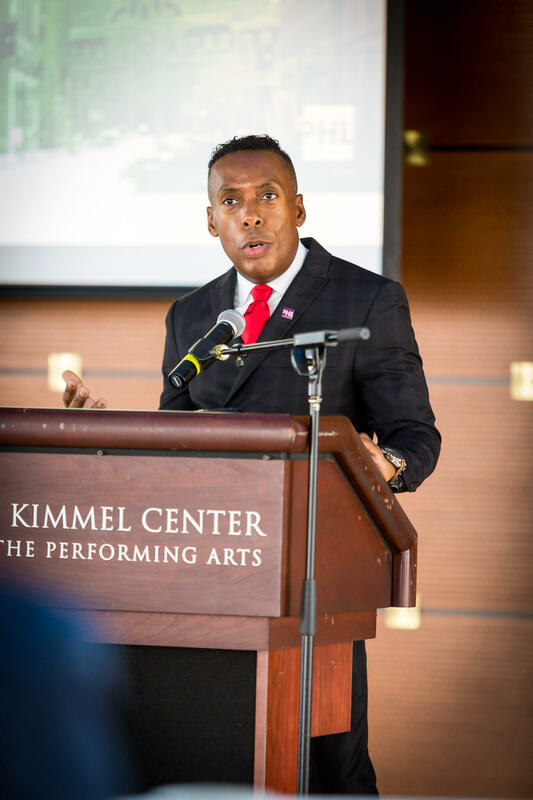 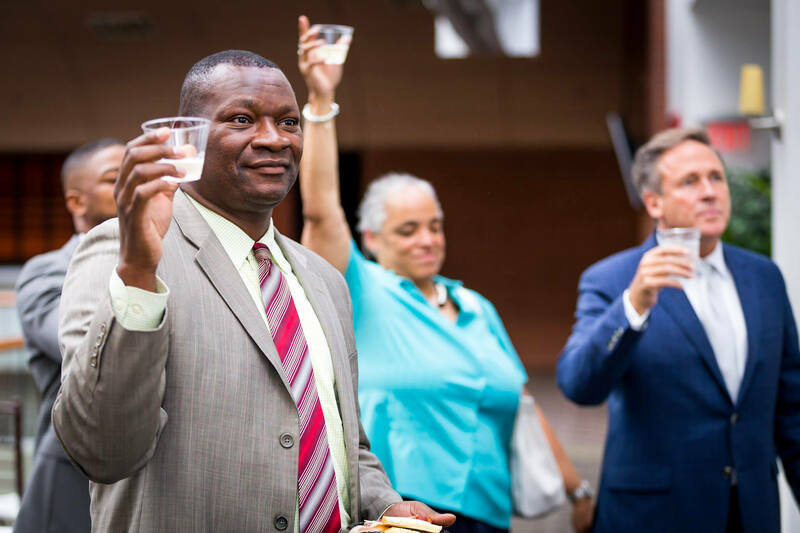 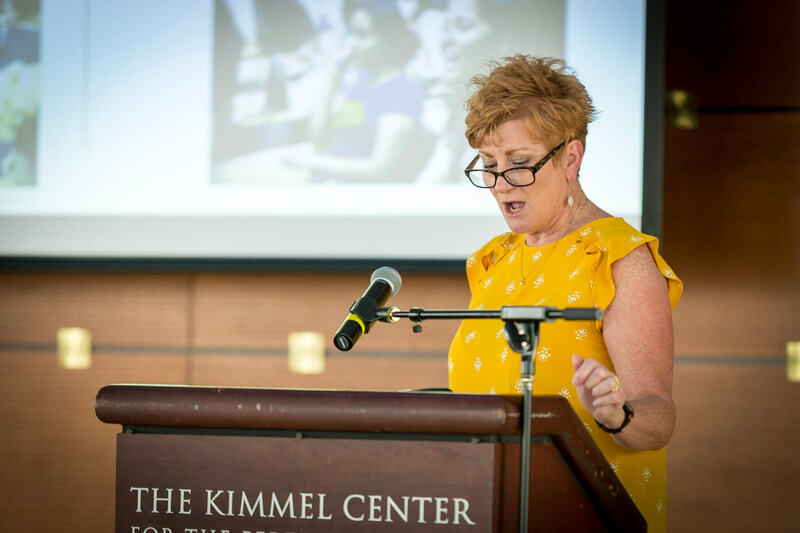 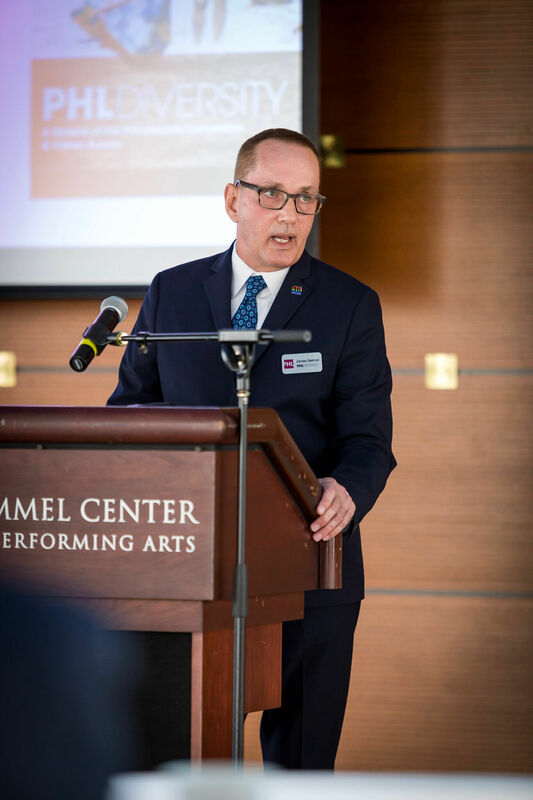 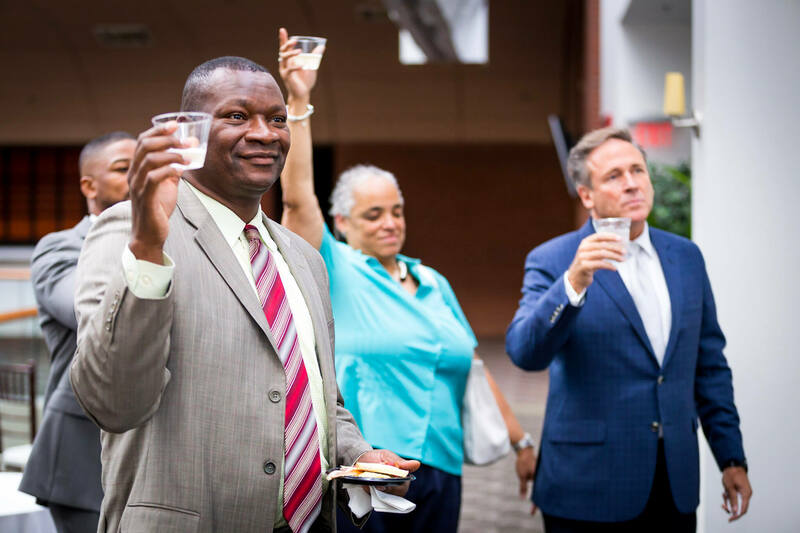 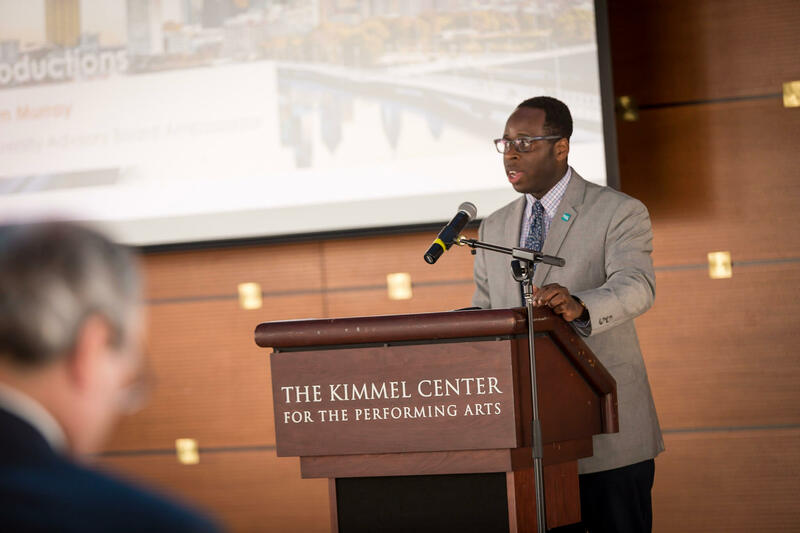 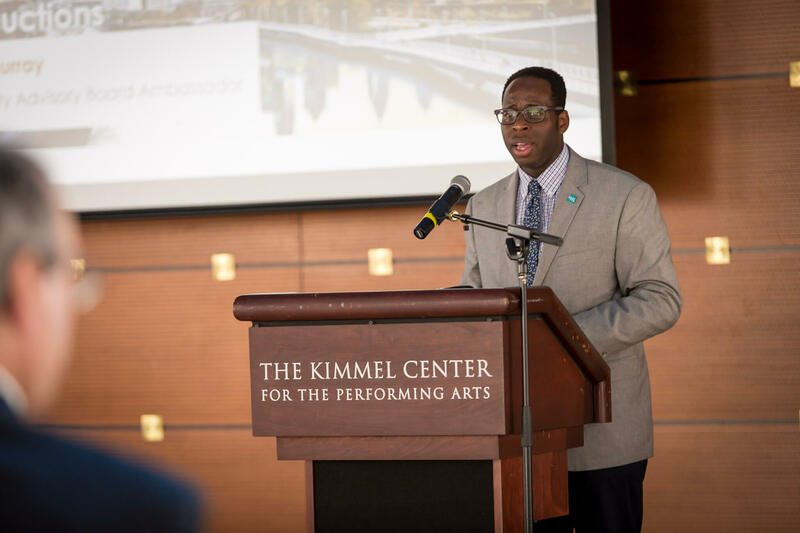 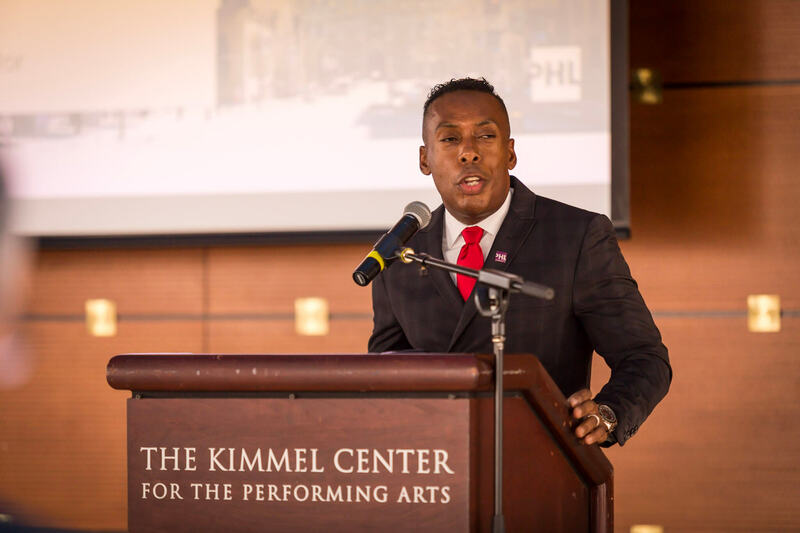 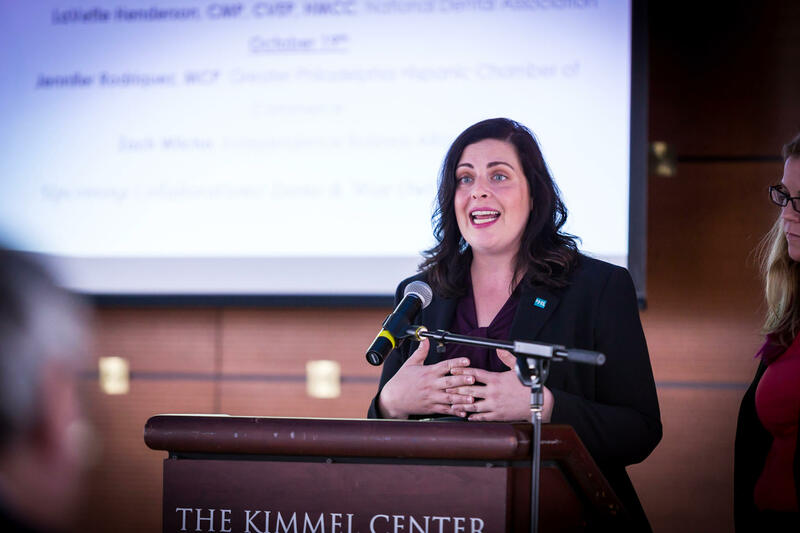 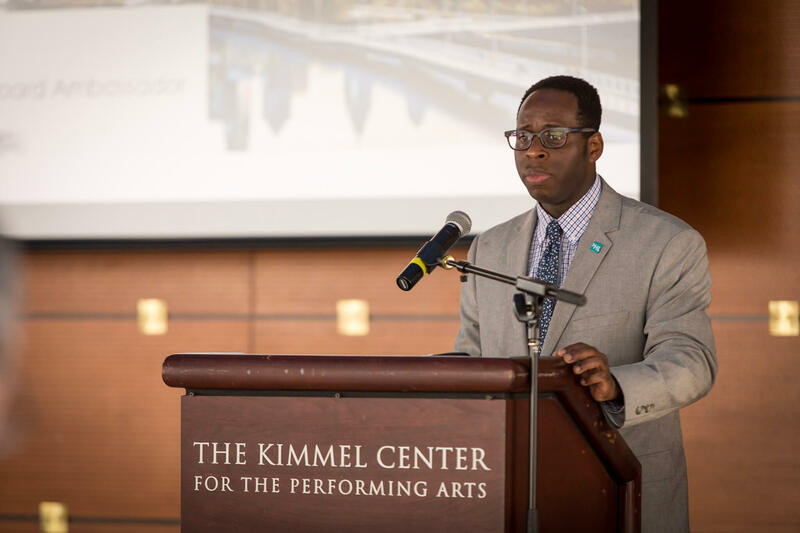 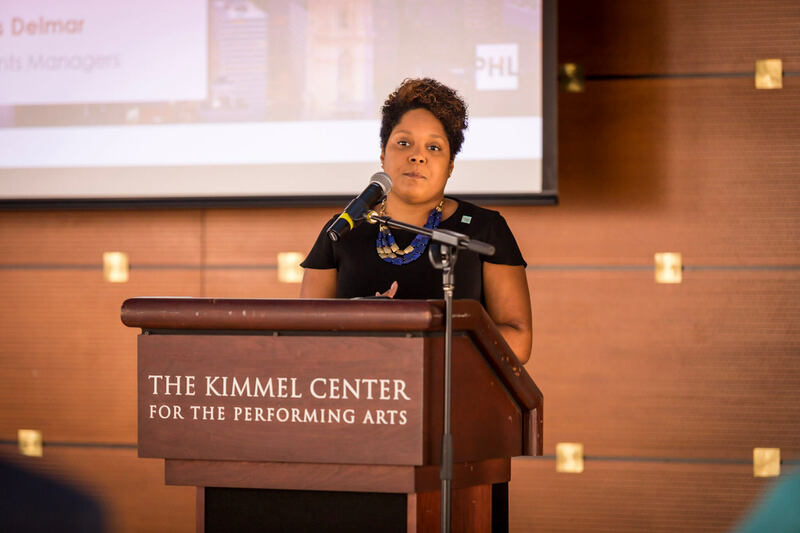 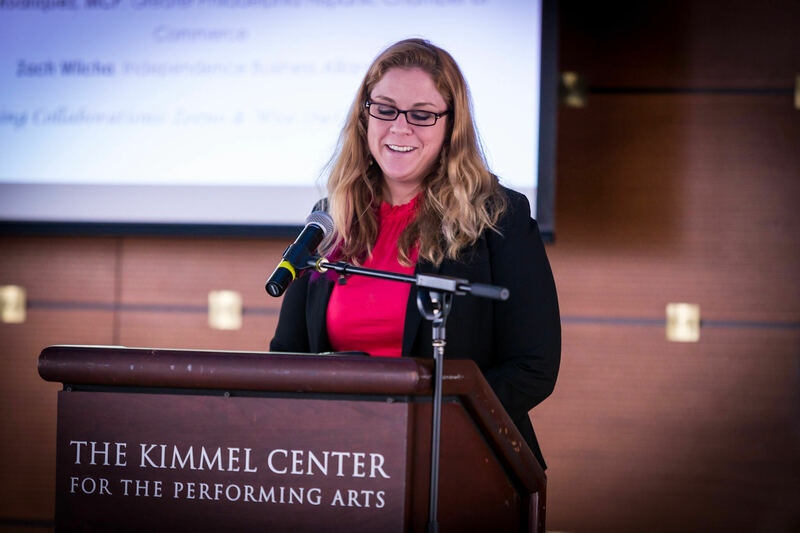 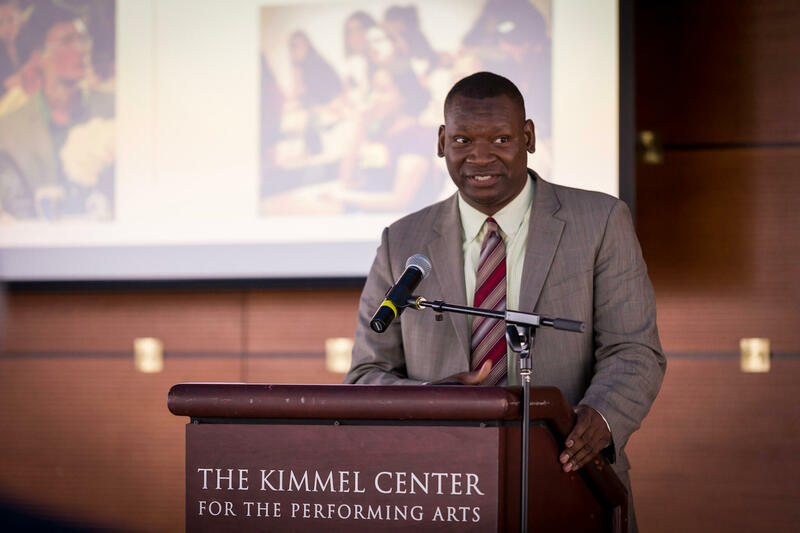 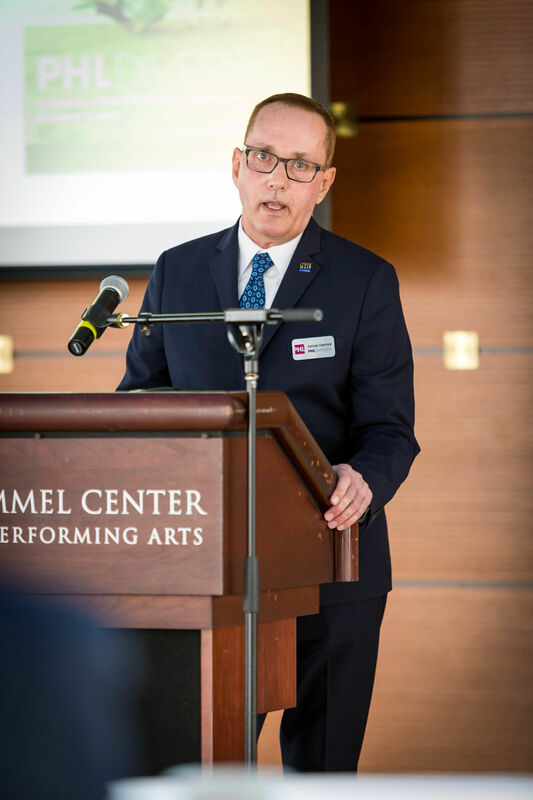 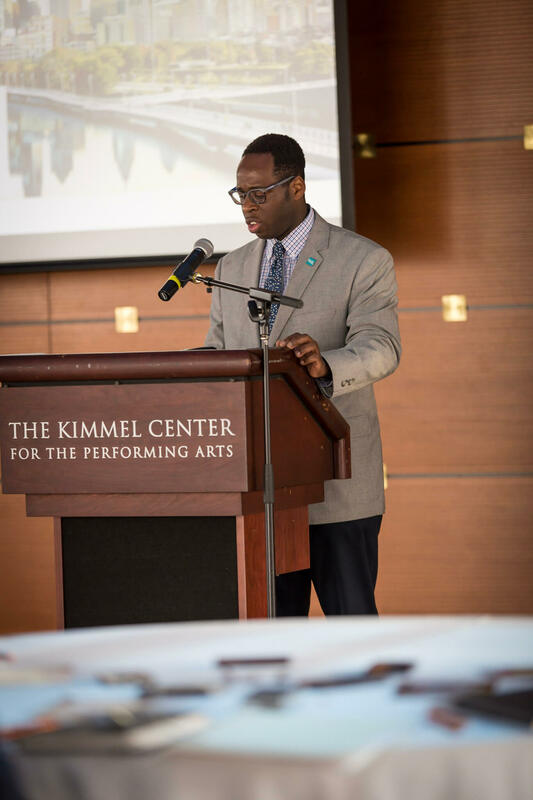 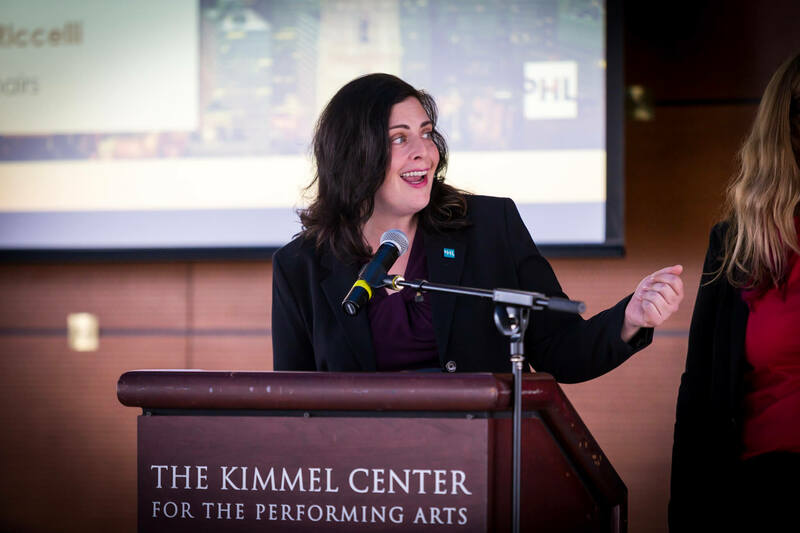 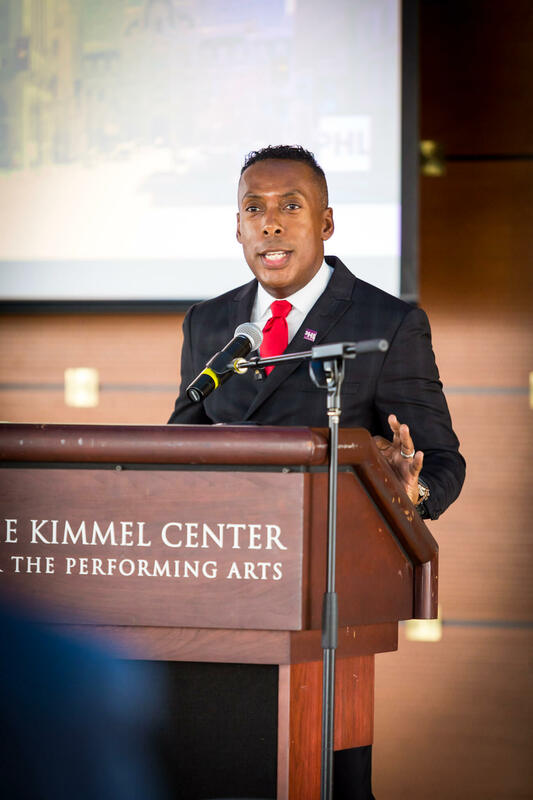 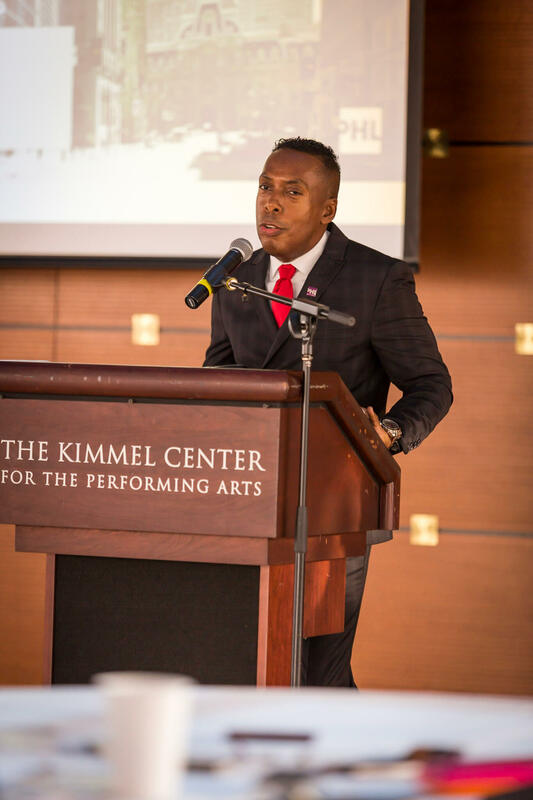 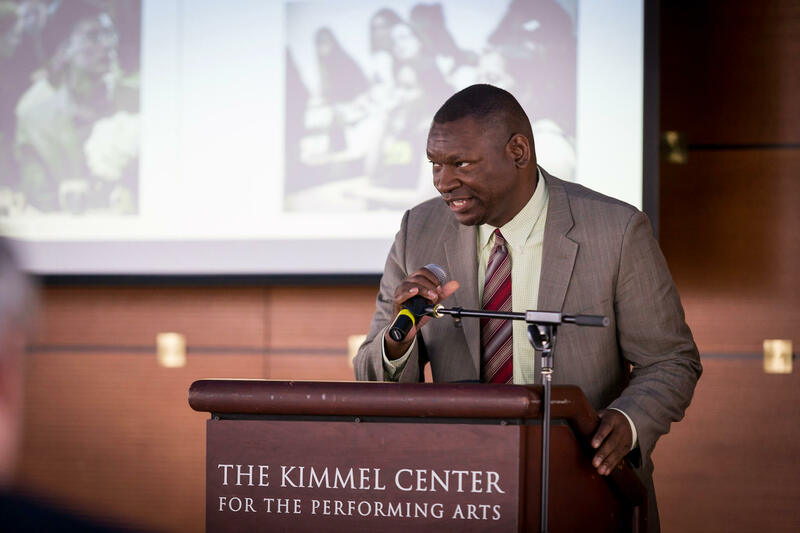 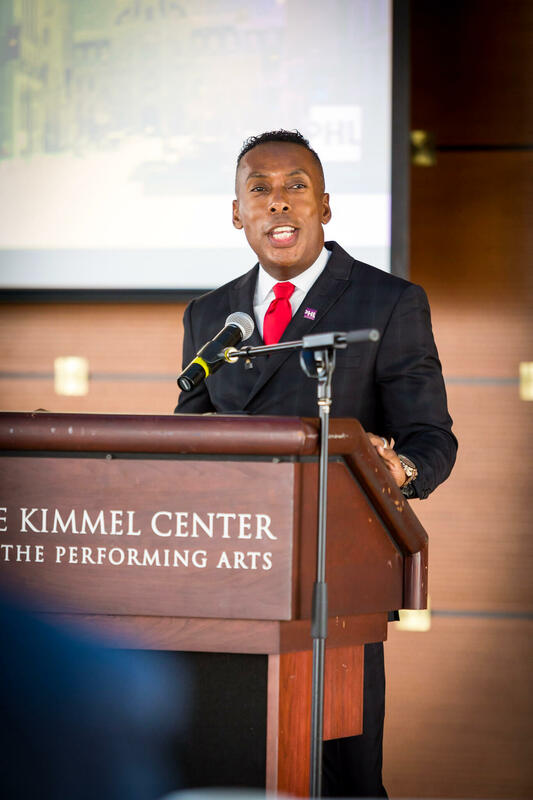 In September, we kicked things off with our board meeting and anniversary reception (special thanks to the Kimmel Center for the Performing Arts for hosting! 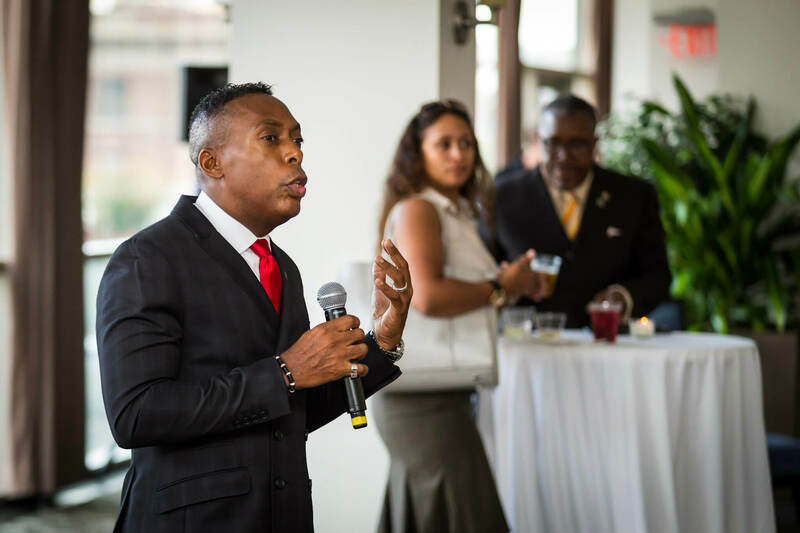 ), supported Hispanic Heritage month celebrations and participated in Congressional Black Caucus events in Washington, D.C., and the U.S. Hispanic Chamber of Commerce convention in Dallas. 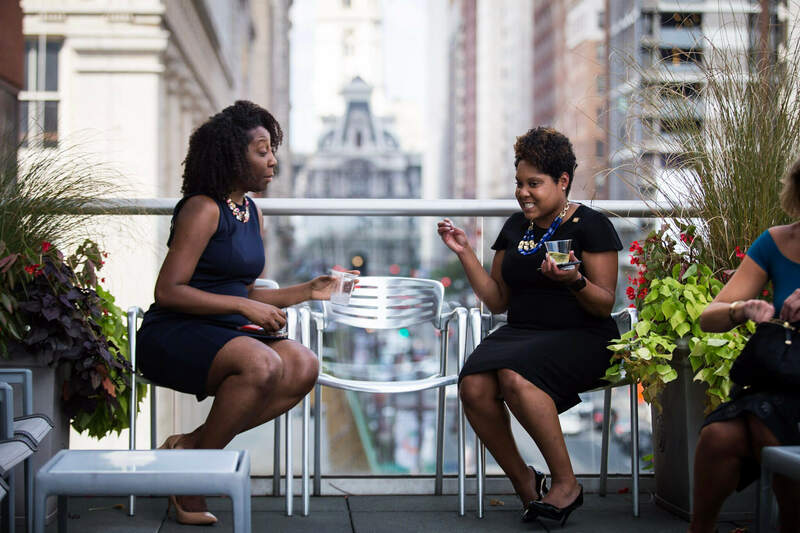 In addition, season 3 of our podcast series has launched, so be on the lookout for our latest exciting installments. 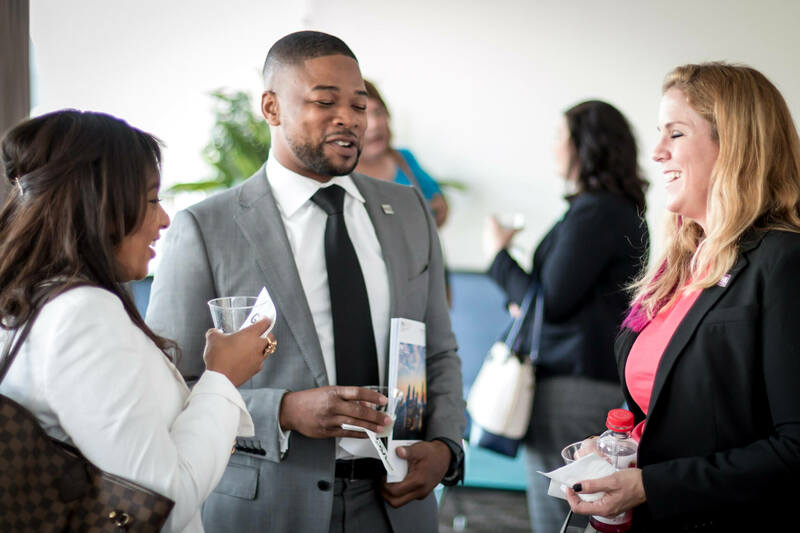 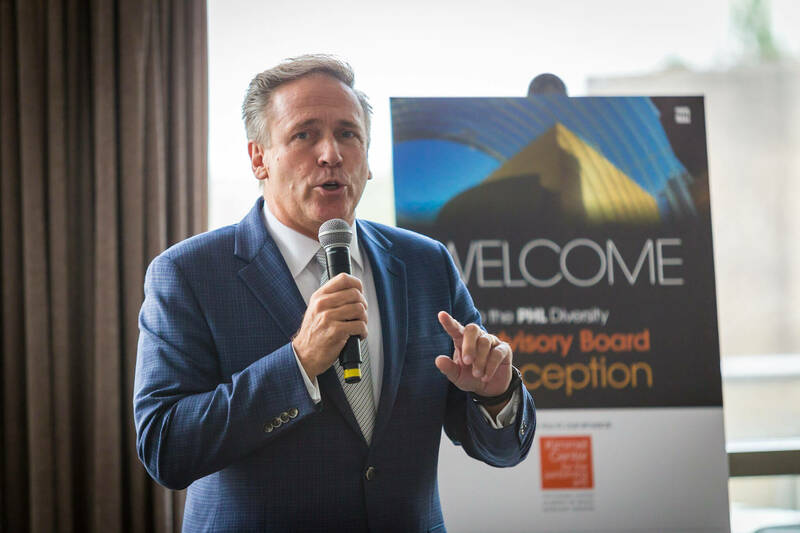 In the next couple months, PHL Diversity will be participating at the Asian American Chamber of Commerce Banquet, the CMI Conference in San Francisco, the SHRM Diversity and Inclusion Conference in Oakland and at the PHLCVB Annual Luncheon in November. 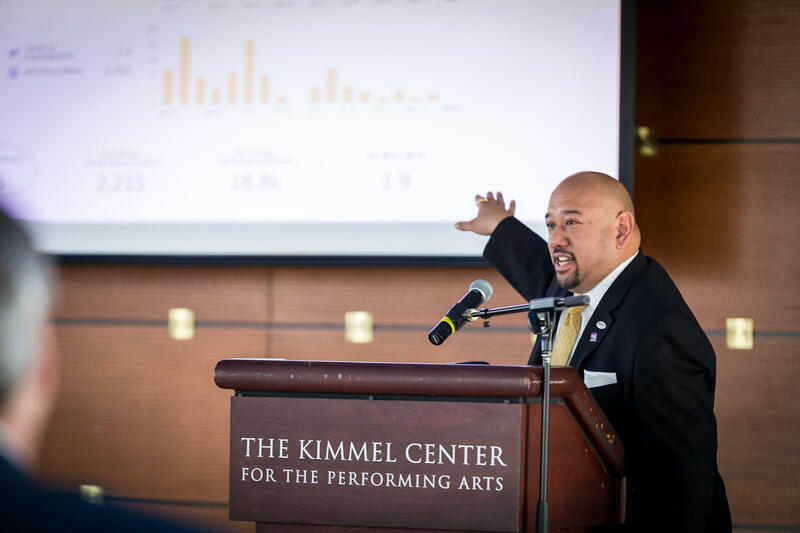 We’re looking forward to a productive end of year! 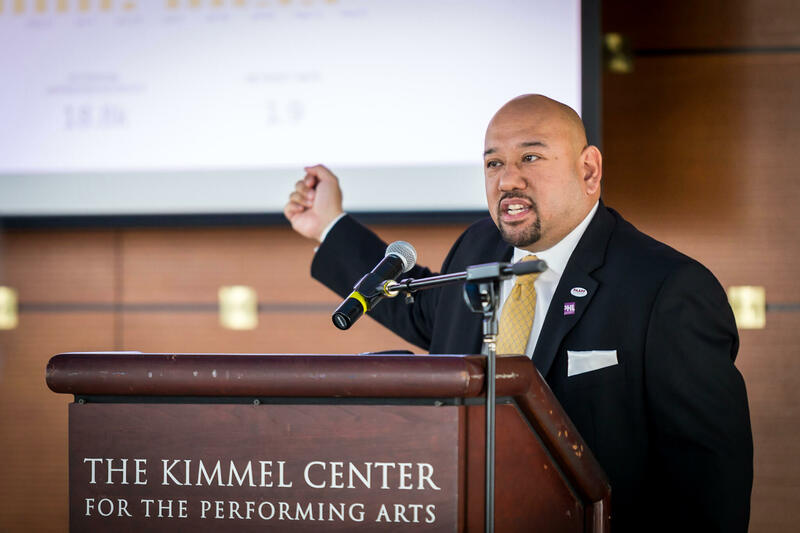 The PHL Diversity Advisory Board reconvened for the September Board meeting on September 14. 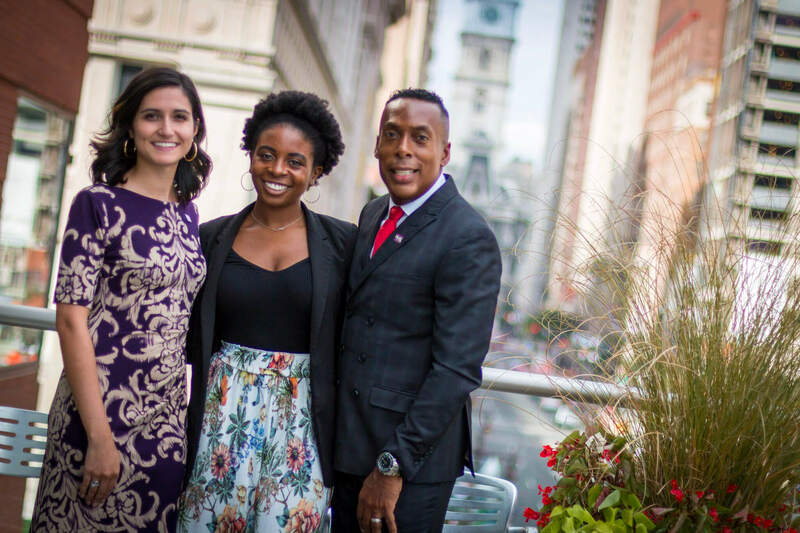 The board meeting was followed by a reception to celebrate the 30th anniversary of PHL Diversity. 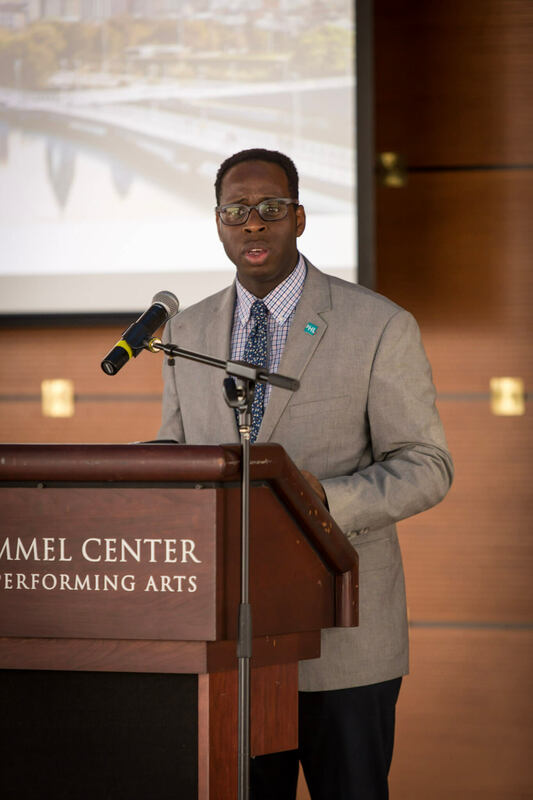 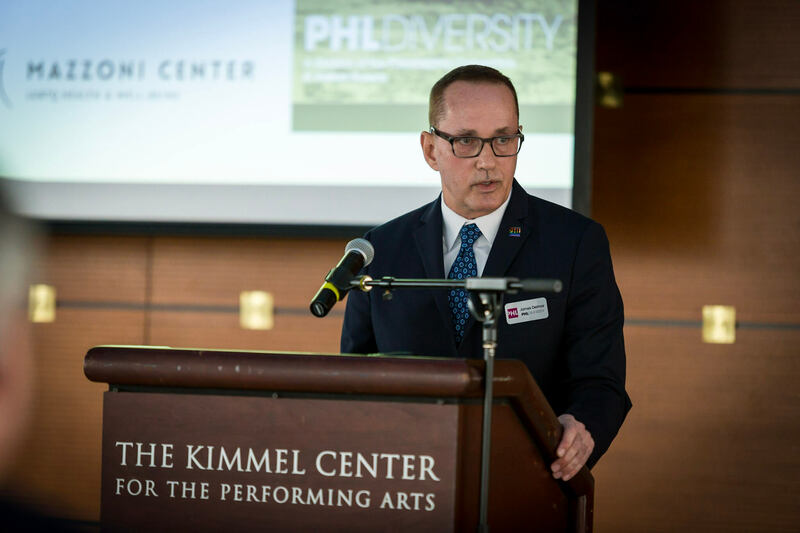 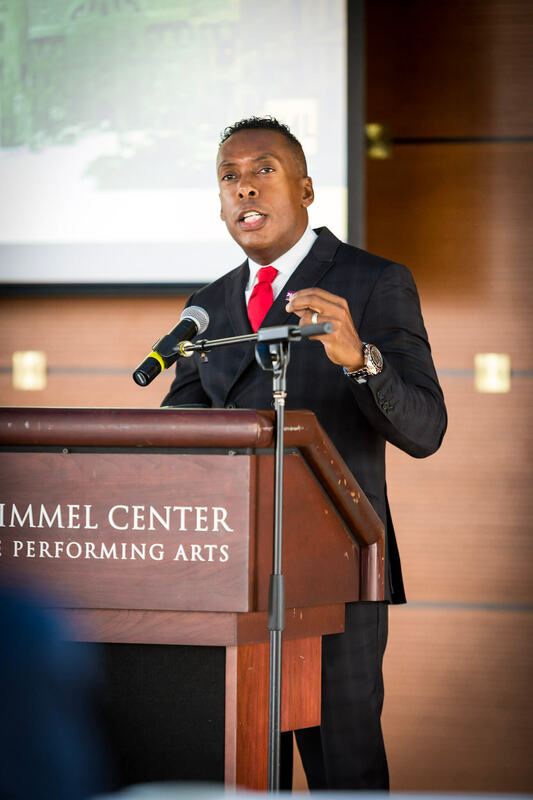 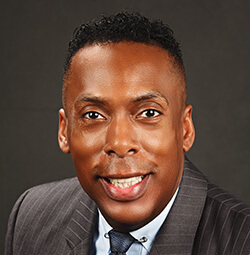 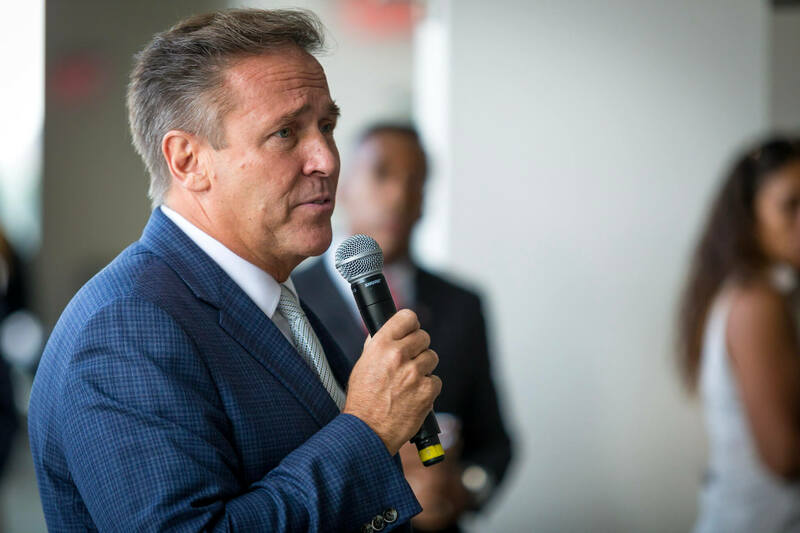 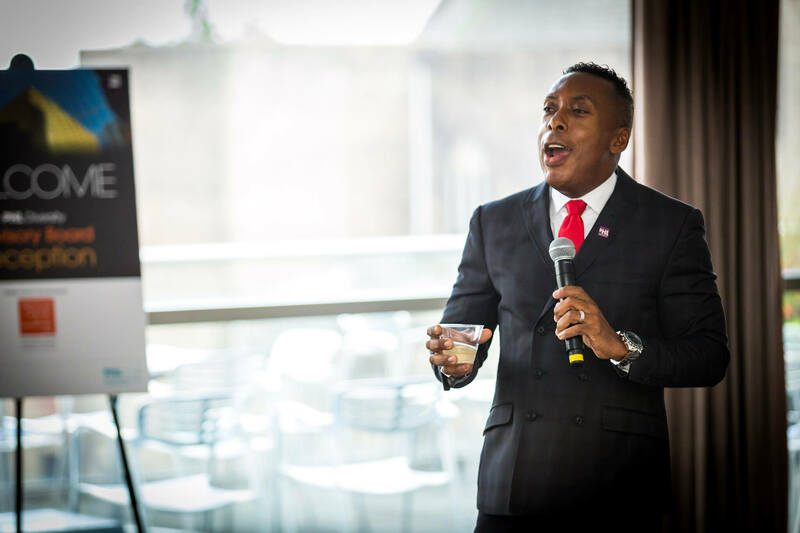 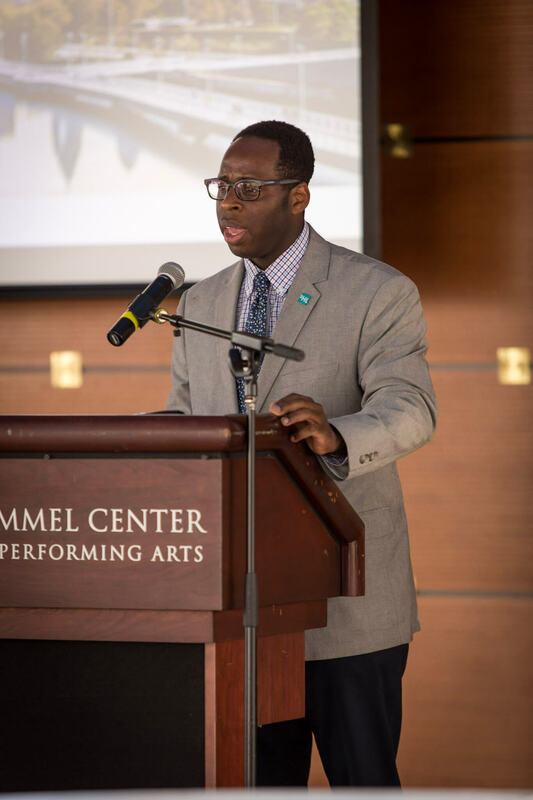 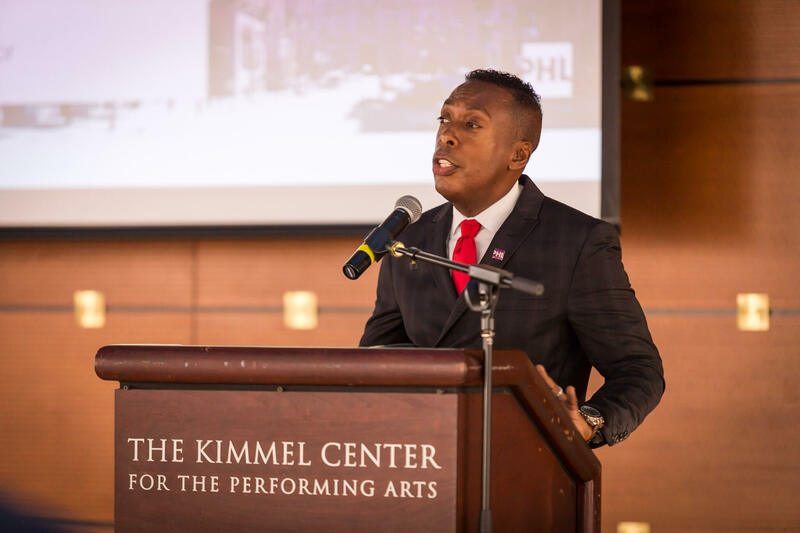 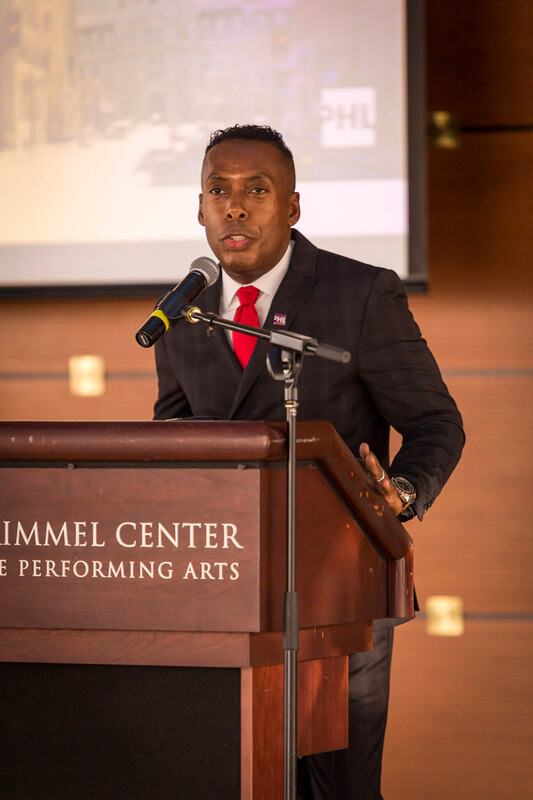 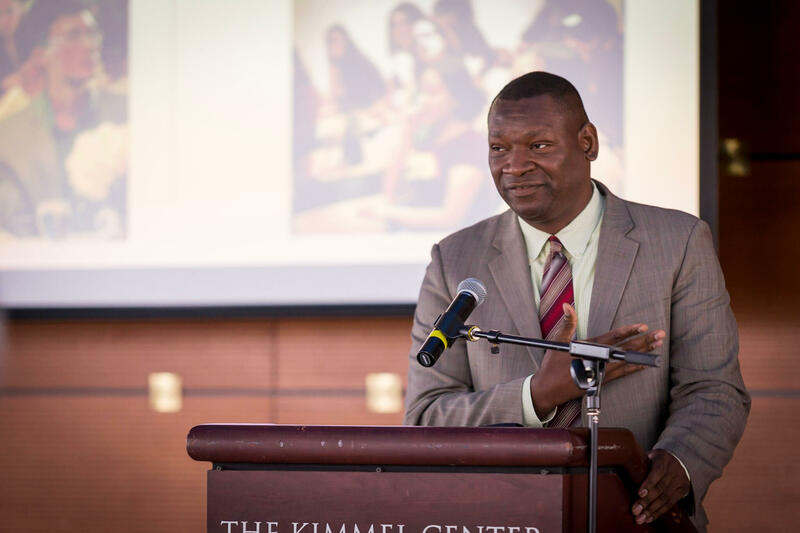 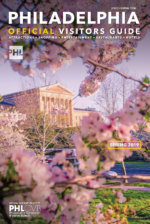 Since its creation in 1987, PHL Diversity, formerly the Philadelphia Multicultural Affairs Congress (MAC), has worked to maximize opportunities for the Philadelphia region by promoting Philadelphia as an ethnically diverse destination. 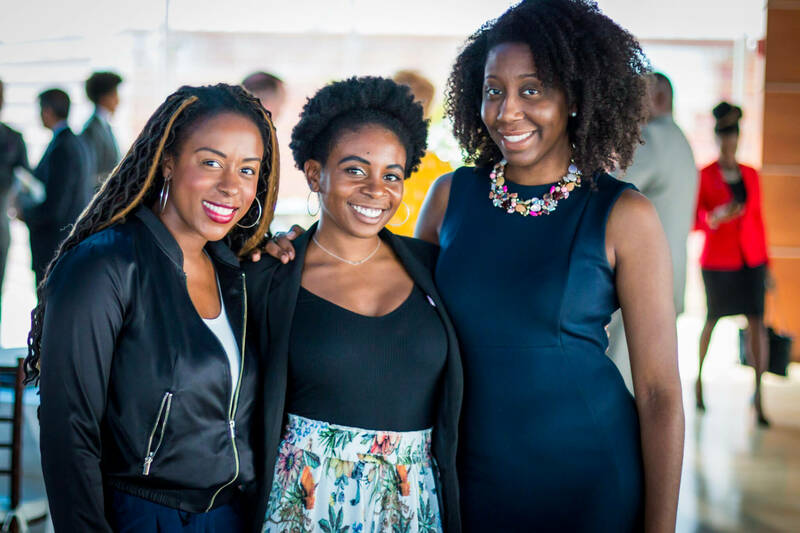 In 2016, the business development division held 31 diversity-related events, creating an estimated $42 million economic impact for the city. 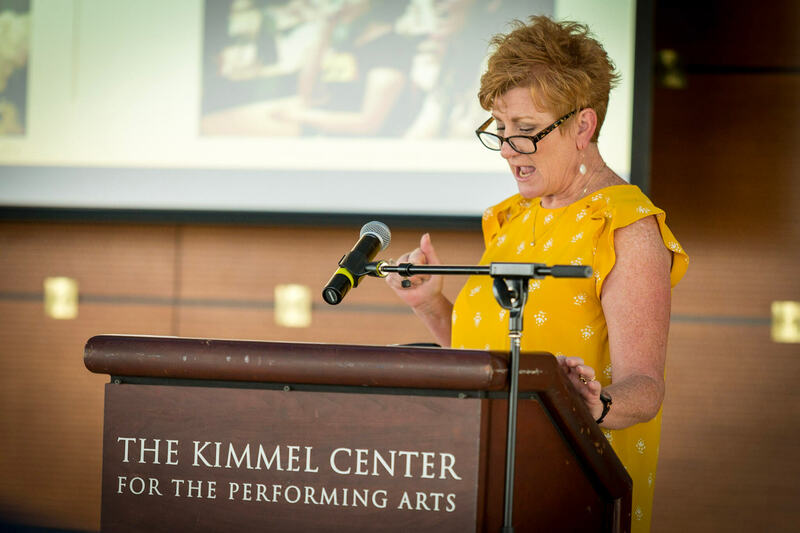 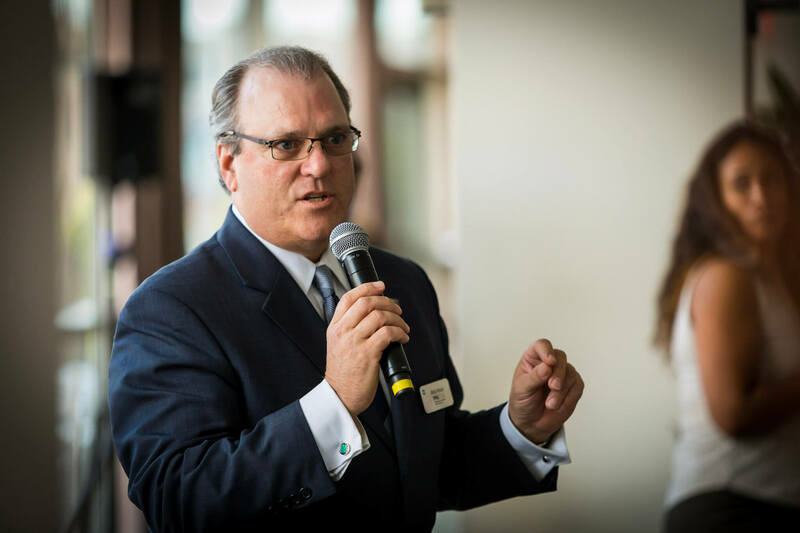 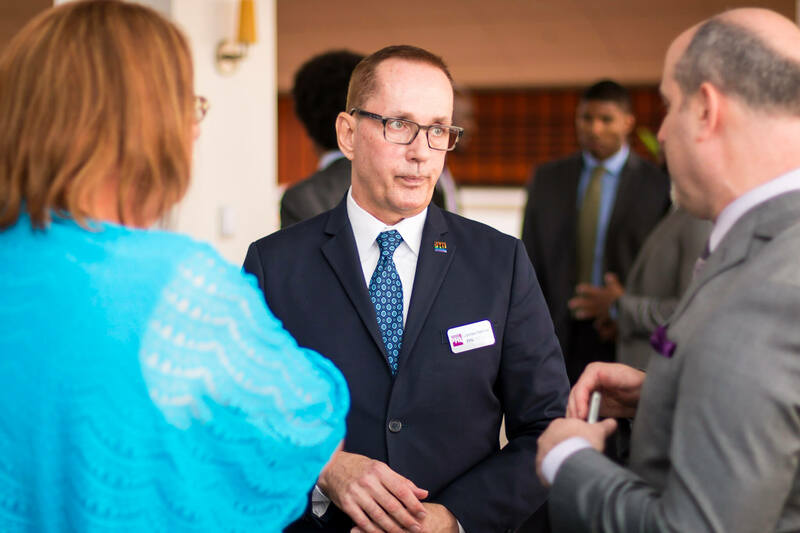 Scroll down to take a look at some of our work over the past 30 years in our photo montage video as well as our photo gallery of our board meeting and reception (thank you, Wise Owl Multimedia!). 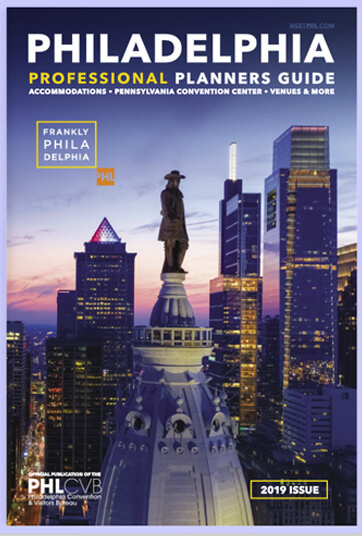 Here’s a look at some of the diverse conventions arriving in Philadelphia in October and November. 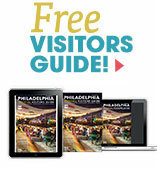 For a full list of upcoming conventions, click here. 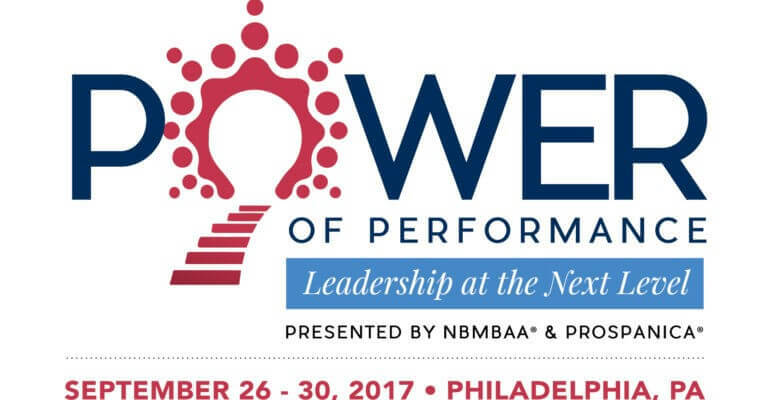 The National Black MBA Association and Prospanica partnered this year to produce their 2017 Annual Conference & Exposition. 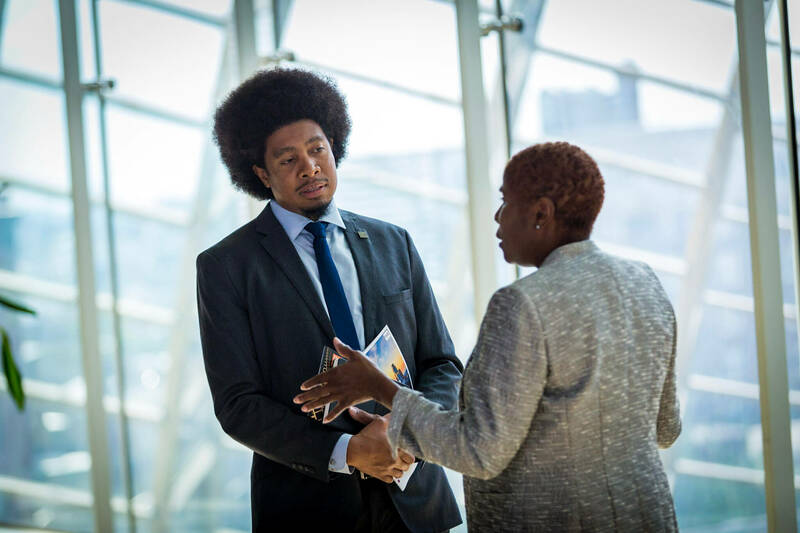 This citywide convention broke attendance records attracting more than 10,000 attendees and 292 corporate partner exhibitors. 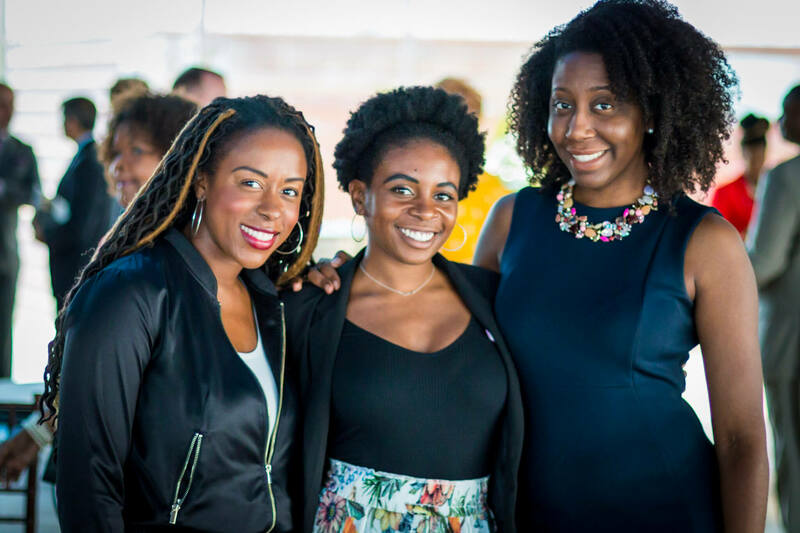 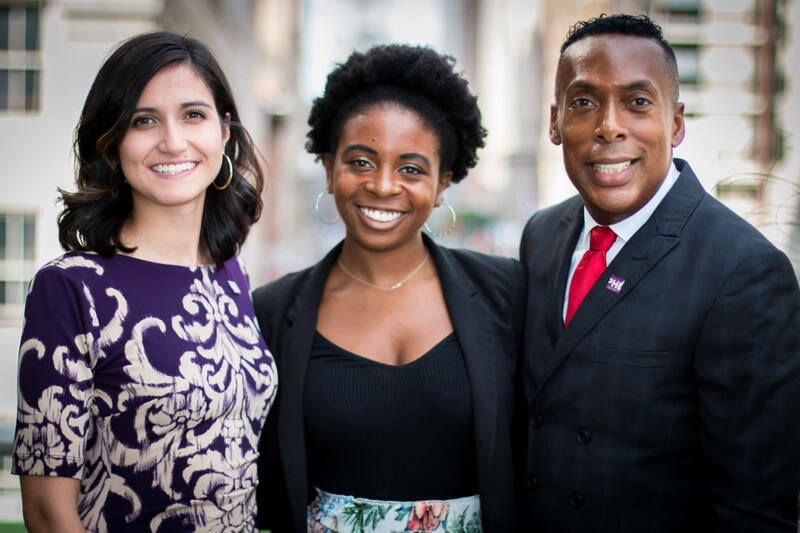 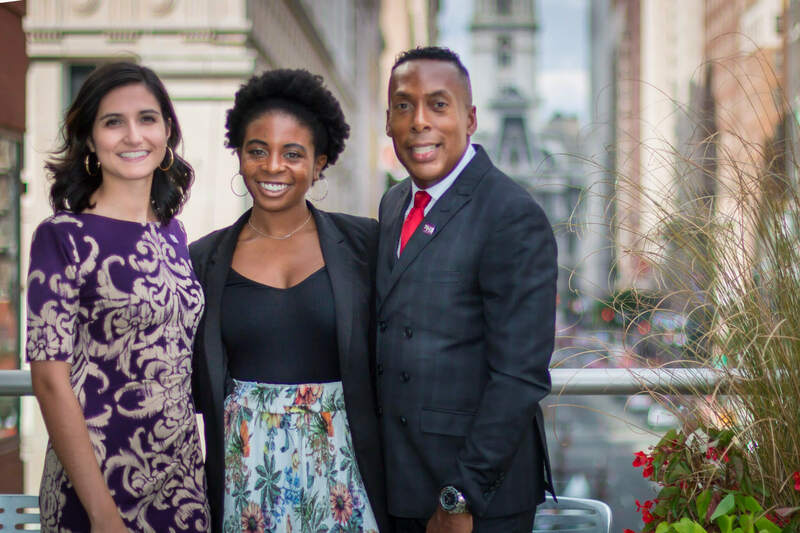 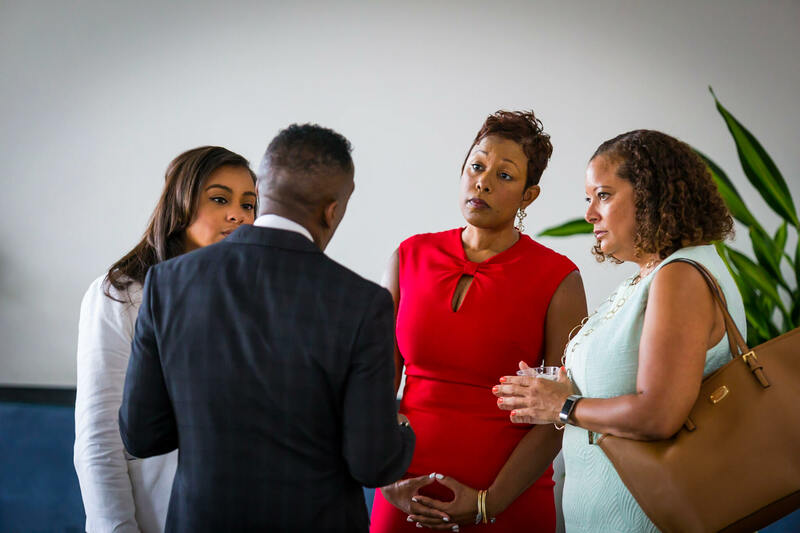 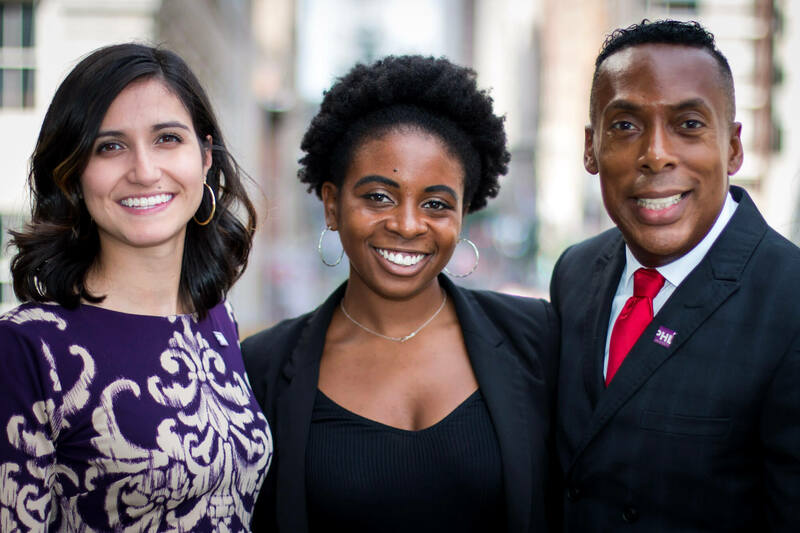 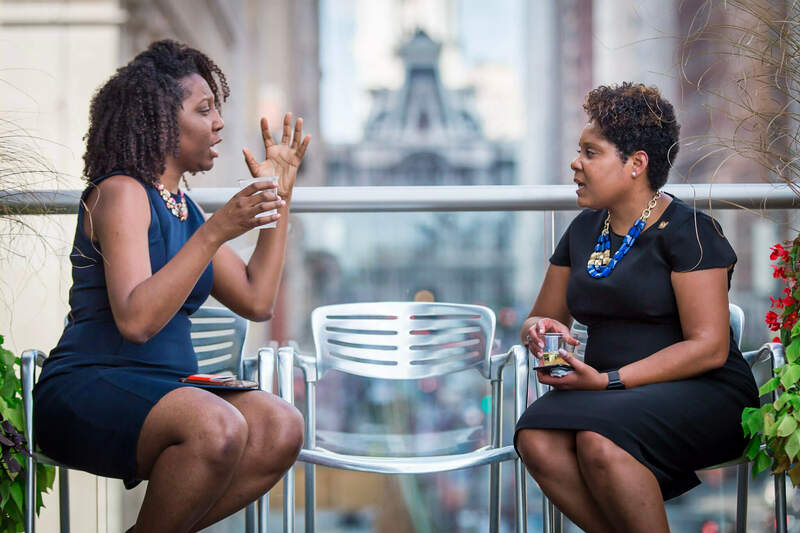 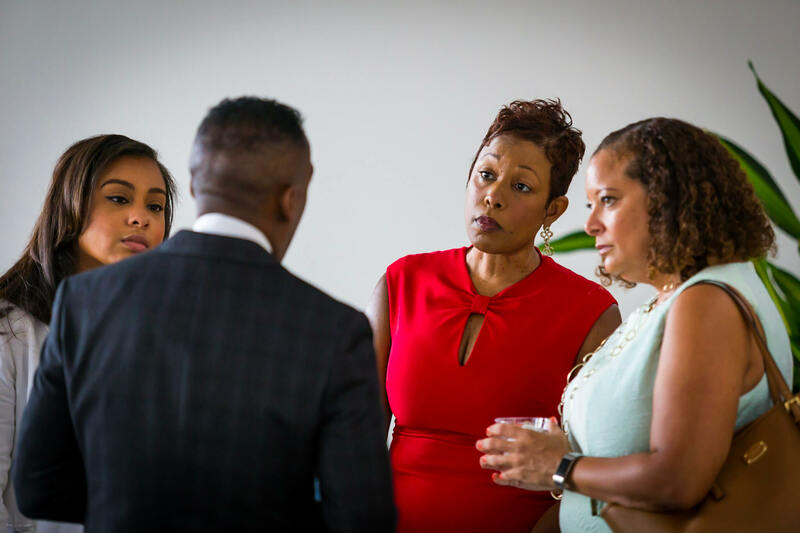 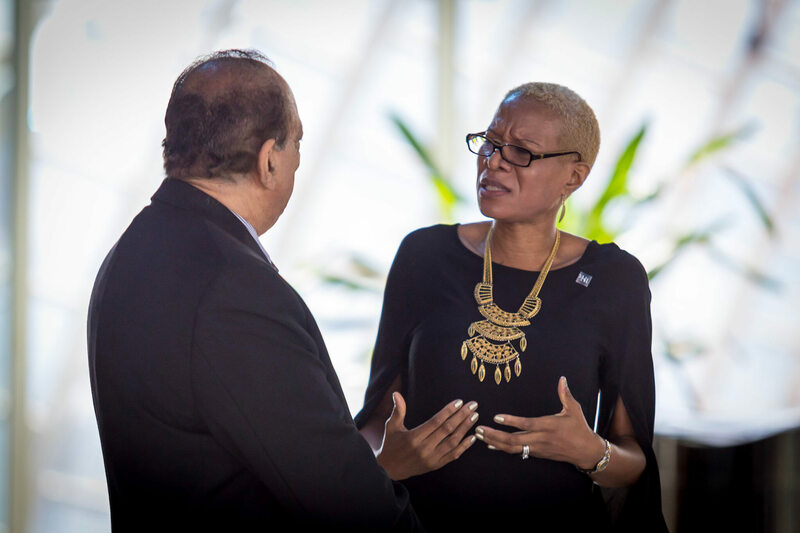 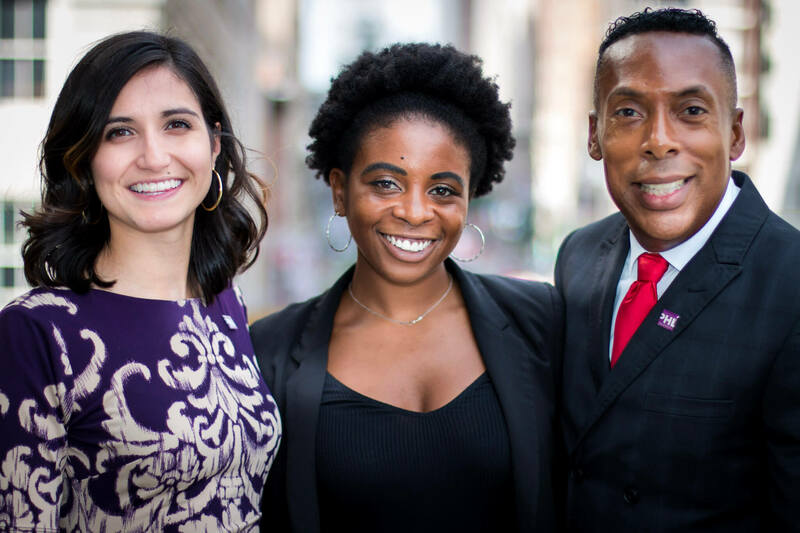 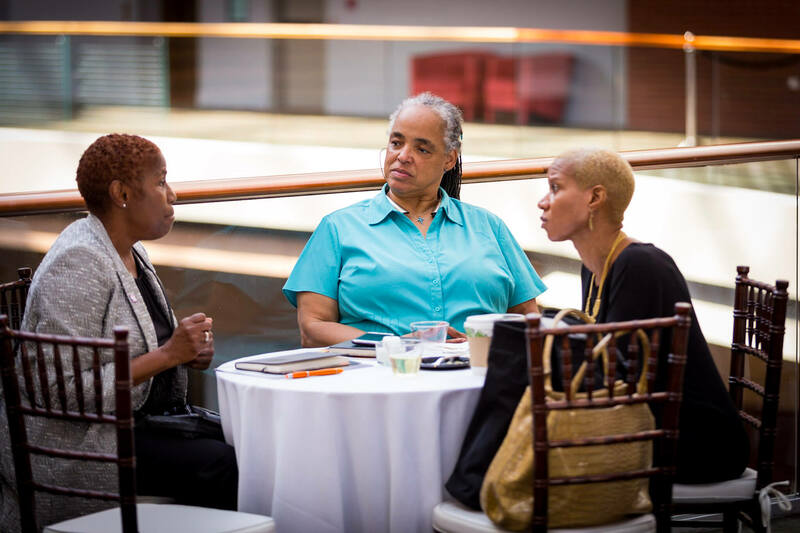 PHL Diversity caught up with Natily Santos, President of the Philly Chapter Prospanica, and Sharana Worsley, President of the Philly chapter of Black MBA Association, on their thoughts, preparations and experiences working on this prominent convention. 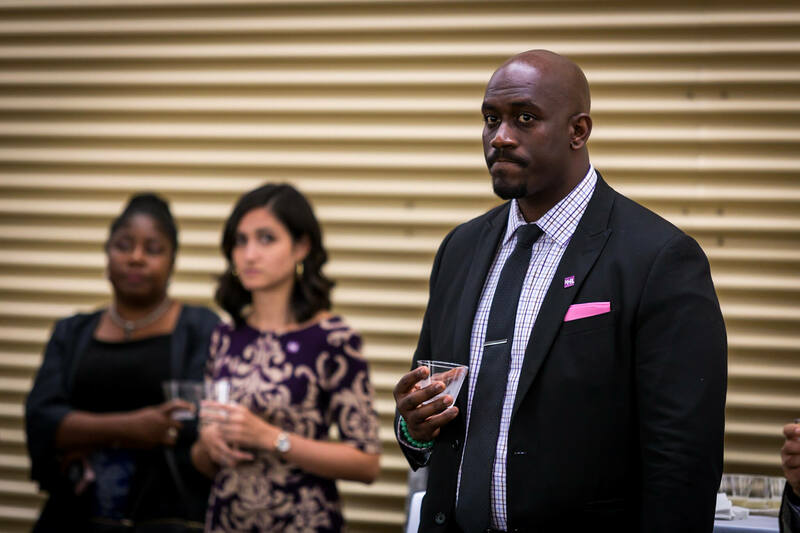 PHLCVB: What is your current role and how are you involved with Prospanica/National Black MBA’s? 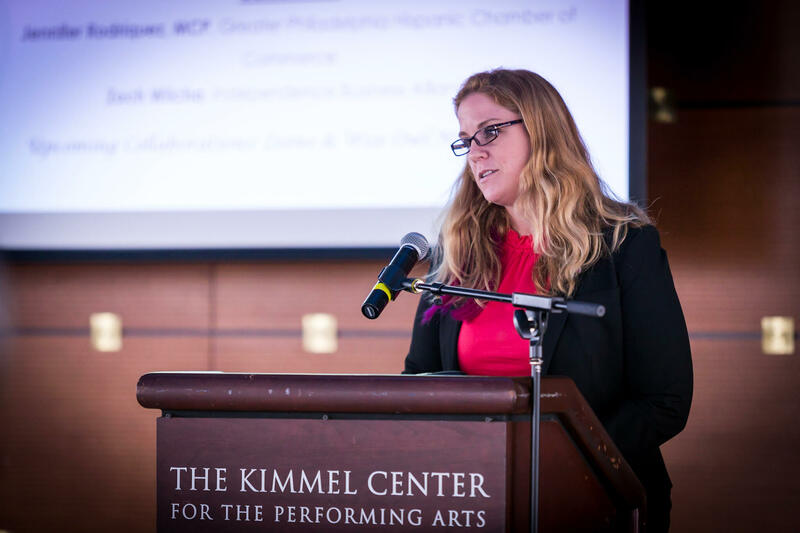 PHLCVB: The last time Prospanica was in Philadelphia was in 2014. 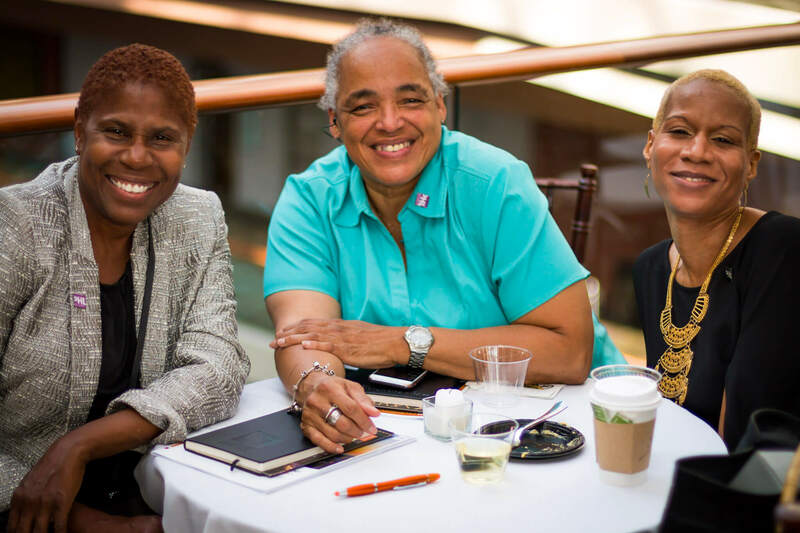 It must be exciting being the host chapter during this conference. 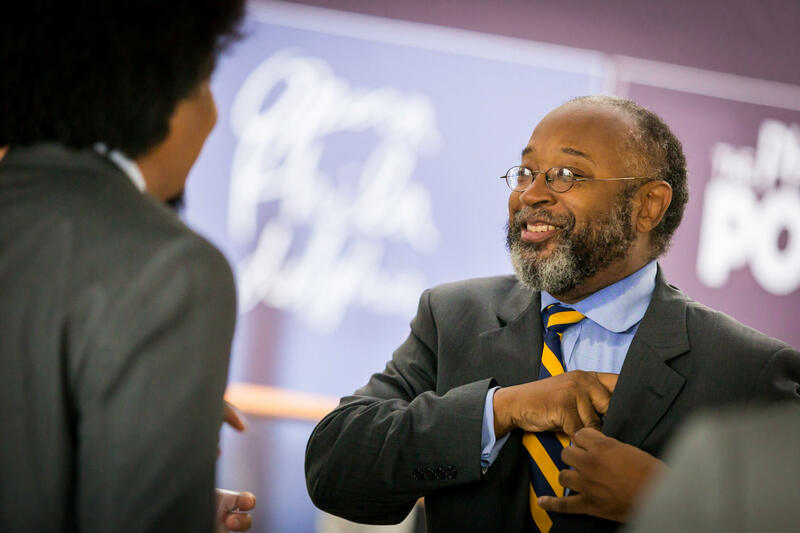 What types of preparation have you and your chapter been involved in? 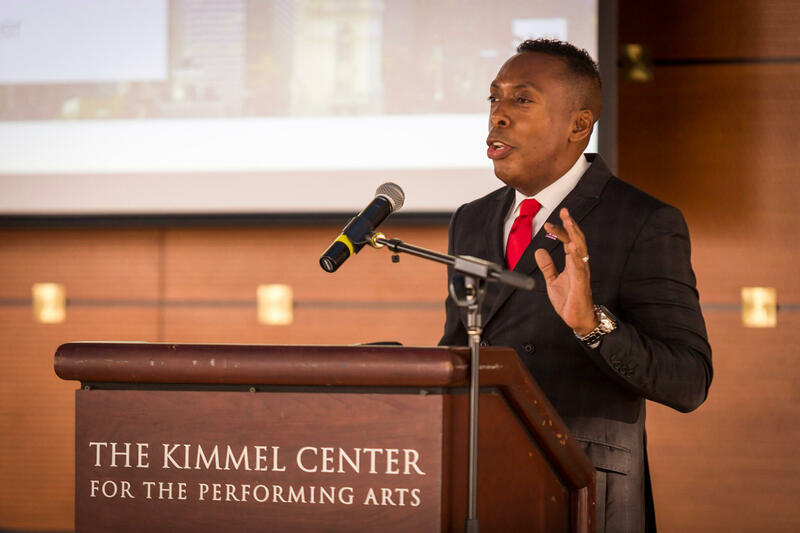 SW: In 2003, I attended my first National Black MBA Conference right here in Philadelphia and it was at that moment that I decided to obtain my MBA. 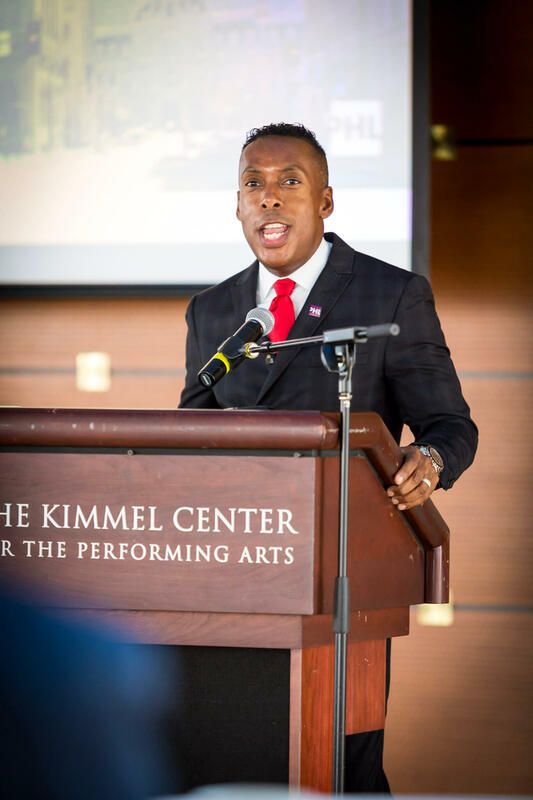 It is exciting that 14 years later I have the honor of serving as the President of the Philadelphia Chapter and I am grateful for the opportunity to host the conference in our great city — my hometown. 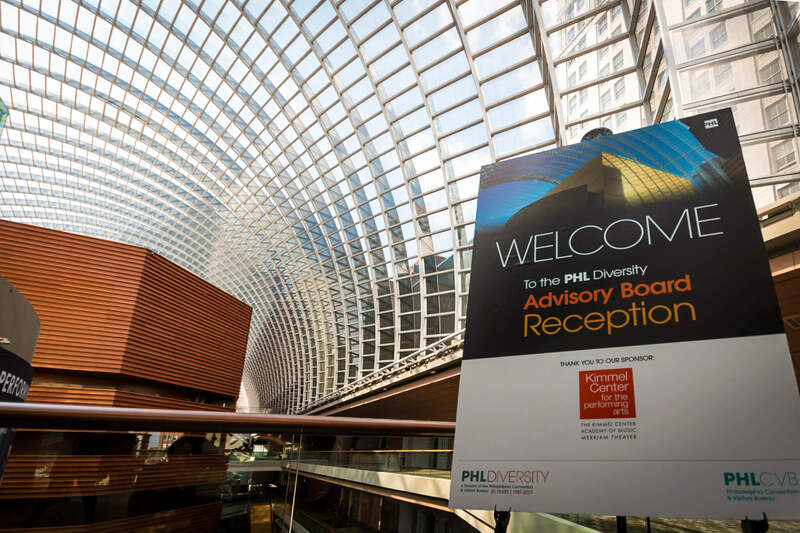 Our chapter was proud and honored to be a part of this dynamic event and worked to ensure that when 10,000 professionals from around the world convened in Philadelphia that we showed them why we are the City of Brotherly Love and Sisterly Affection. 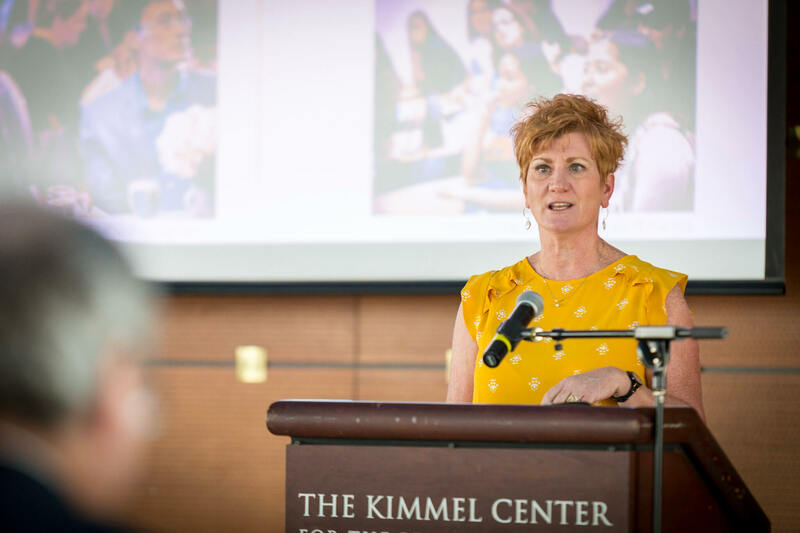 To prepare for the conference we hosted events throughout the year leading up to conference with our most recent event being our Professional Development Symposium preconference event and reception held at Drexel University. 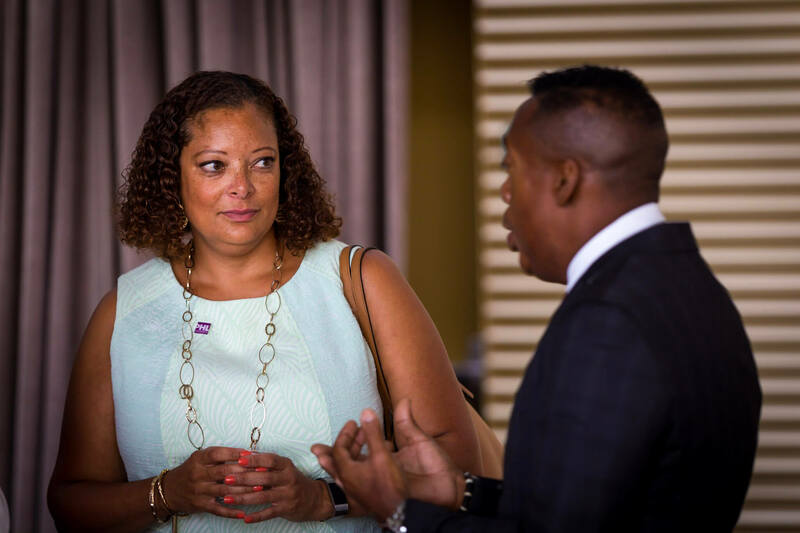 We were also tasked with recruiting 500 volunteers and we achieved that plus more. 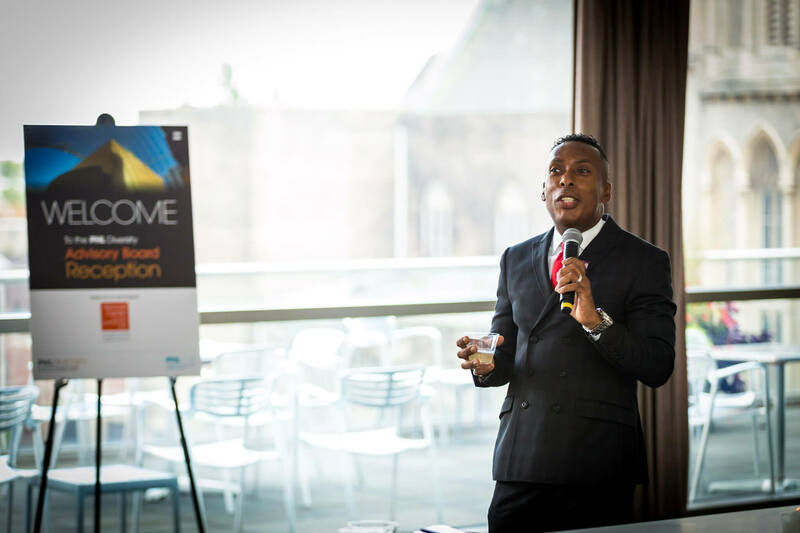 We also assisted with speaker acquisition, local vendor recommendations, securing sponsorships and exhibitors. 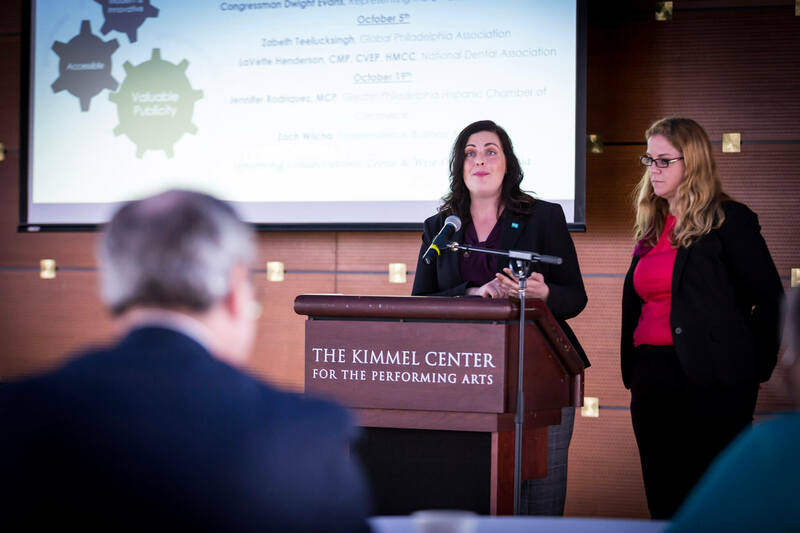 We wanted to ensure that Philadelphia and our local stakeholders were involved with conference at various levels. 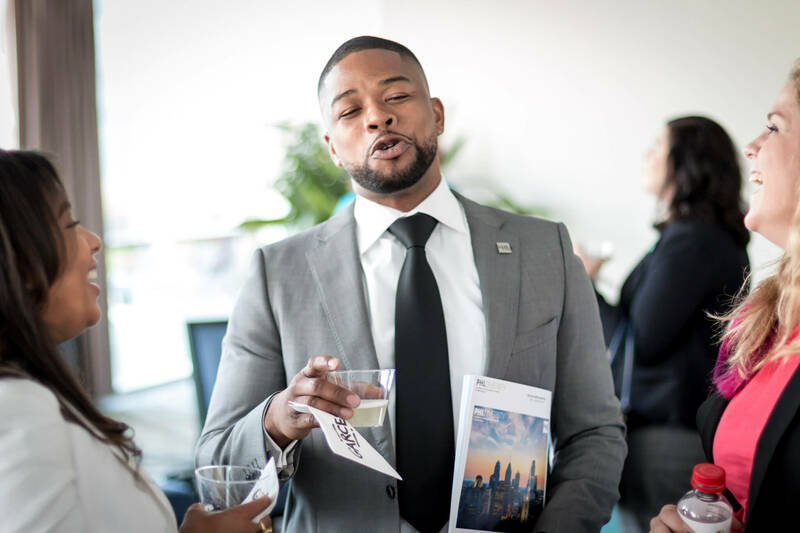 Lastly, in addition to the national conference activities, we executed three local events during the conference to supplement the program – a welcome reception for Chapter Leaders from across the Country, MBA Mixer and The MBA JAWN – Philadelphia Chapter’s Welcome Party featuring Biz Markie. 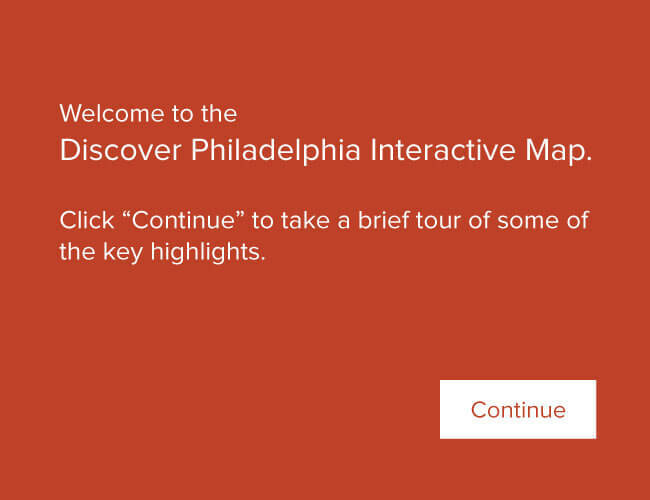 NS: I was a member the last time this conference was in Philadelphia. 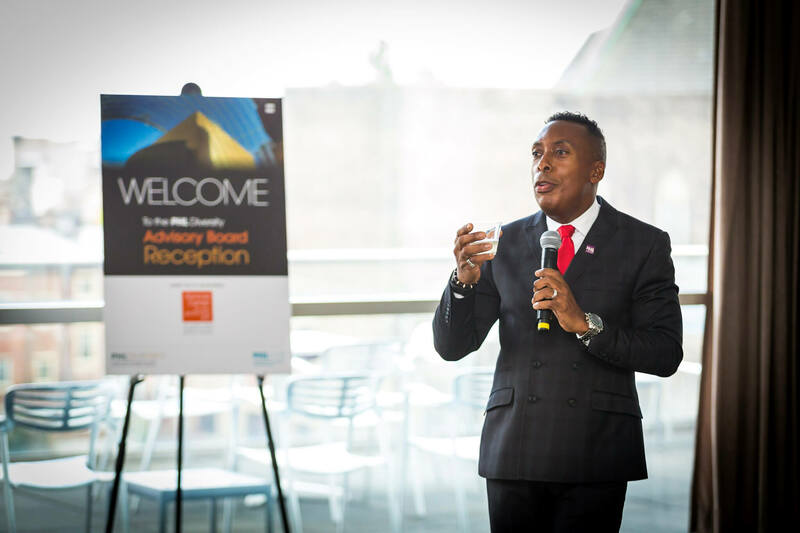 I definitely experienced the value of the Prospanica/NSHMBA Conference in 2014. It was my first Prospanica Conference and I was very impressed with the caliber of meaningful connections and learning opportunities available. 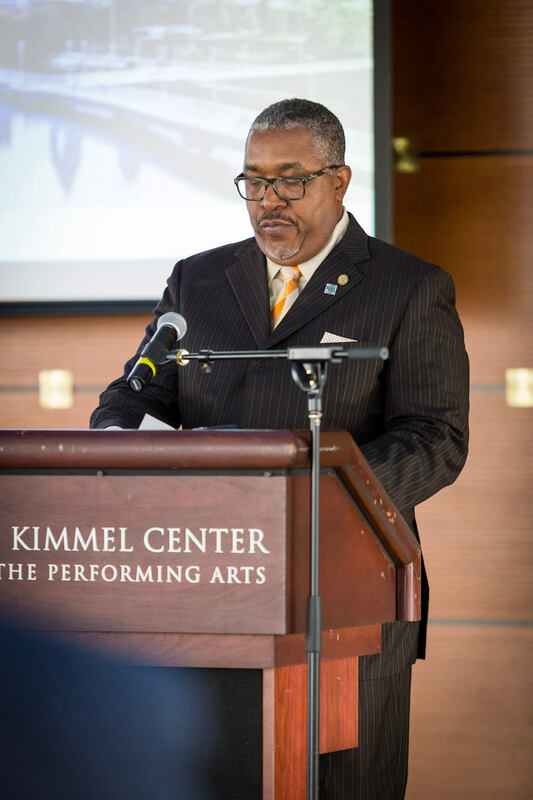 This time around, being in a leadership position and involved with executing this conference is a lot more work, but I truly consider it an honor to be a part of bringing it back to Philadelphia, further enhancing the programs and activities featured, and supporting our collaboration with NBMBAA. 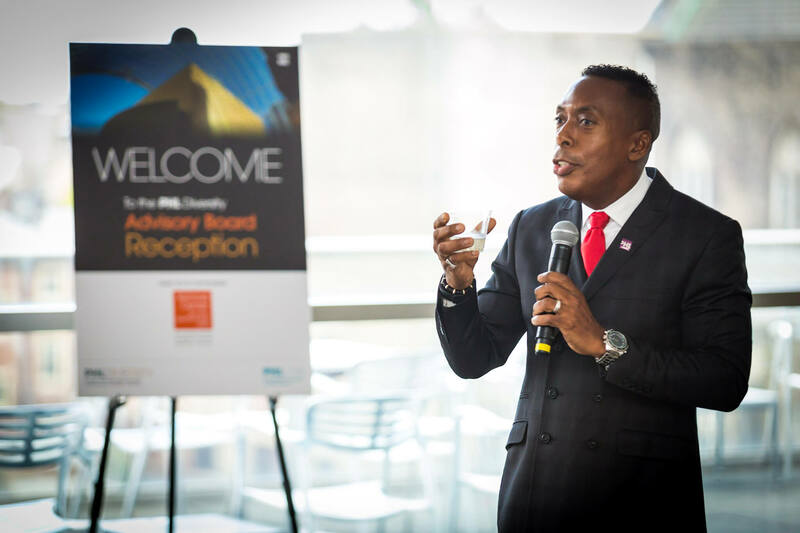 I am grateful to have an amazing board and support from my company to encourage my efforts. 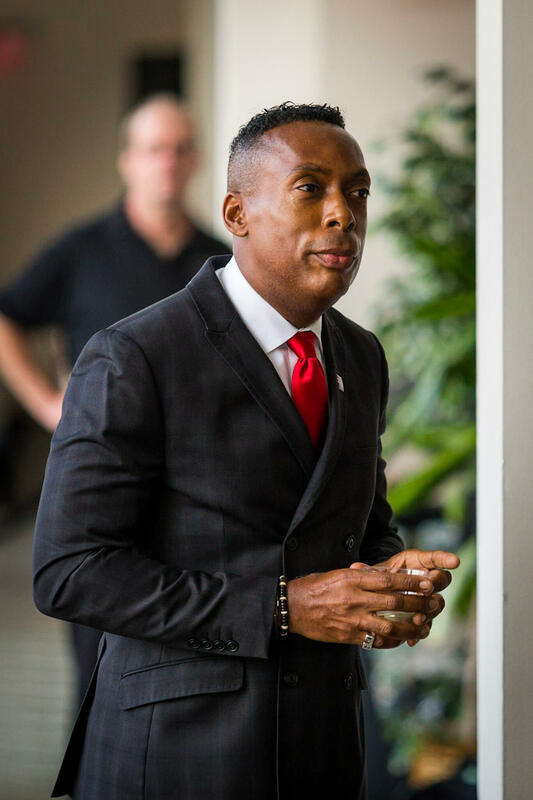 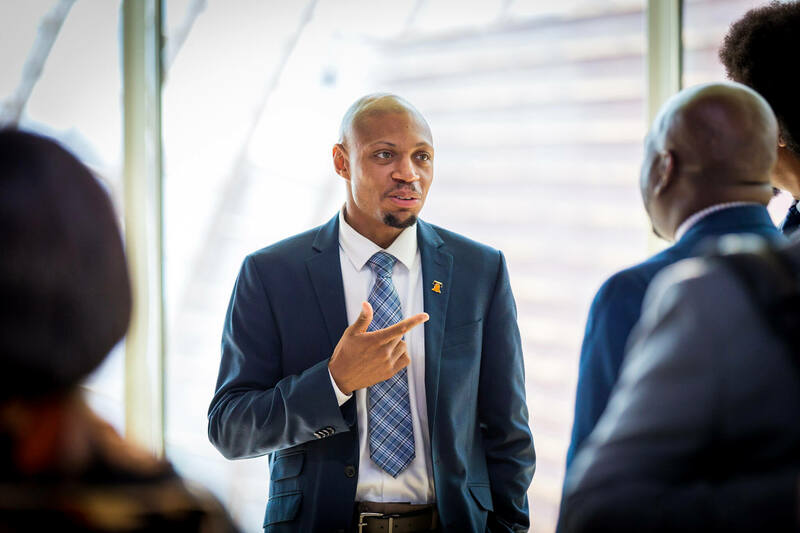 Pertaining to the National conference, as the Co Host, I am involved with recruiting volunteers, facilitating local connections for the national team, promoting conference locally, developing strategic partners, and attending and supporting signature conference events along with my board. 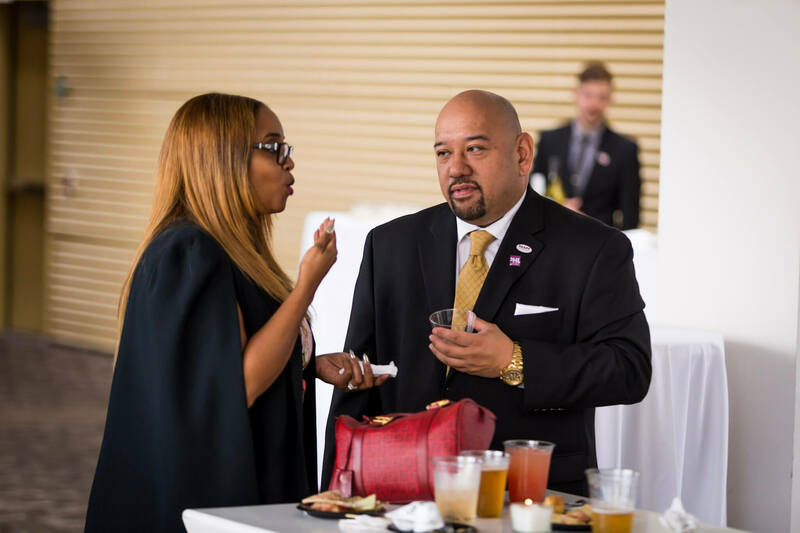 PHLCVB: This is the first time Prospanica has partnered with the National Black MBA Association. 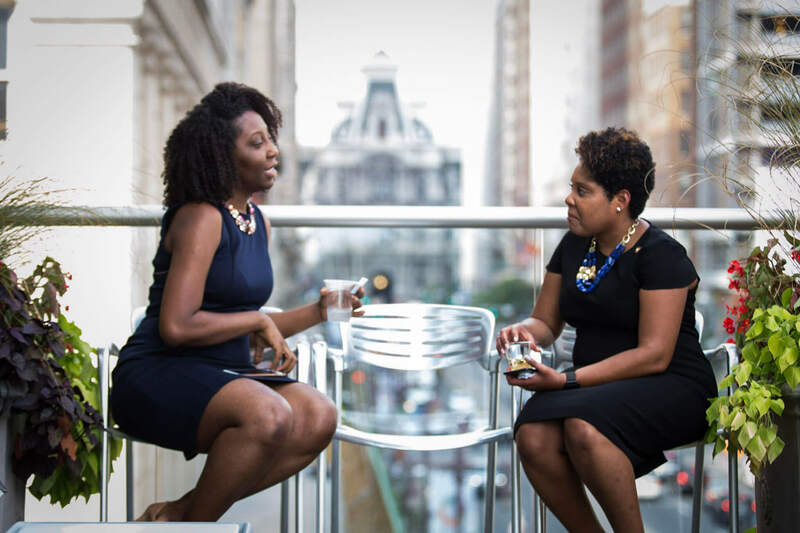 How did that collaboration come about and do you see it continuing in the future? 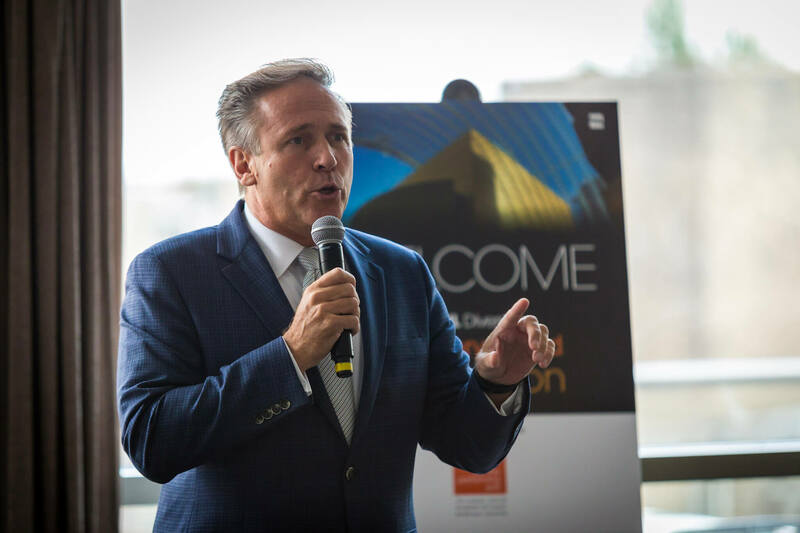 SW: The decision to collaborate was made by our National Board and announced on November 14, 2016 at our Corporate Partnership Orientation and they will decide if it will continue in the future. 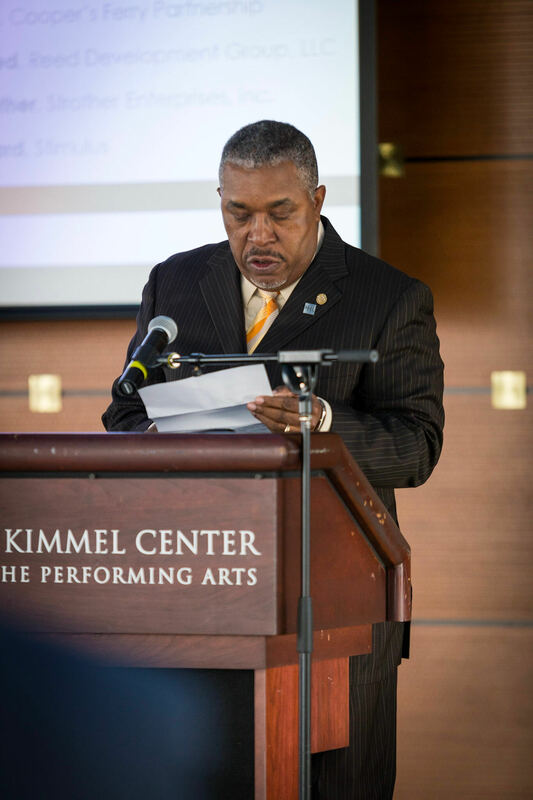 NS: I know both organizations have discussed a partnership for many years. 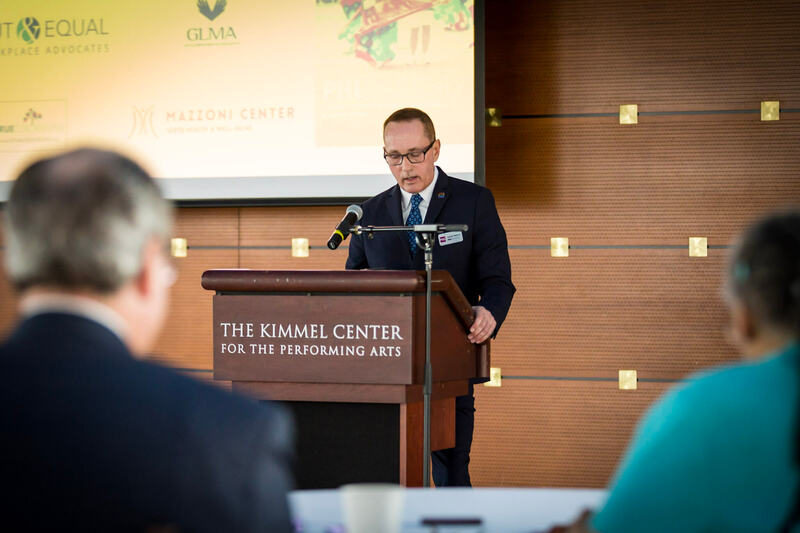 I think it was a refreshing change to have two organizations take the lead this year in wanting to do something different to enhance the experience of the members and partners. 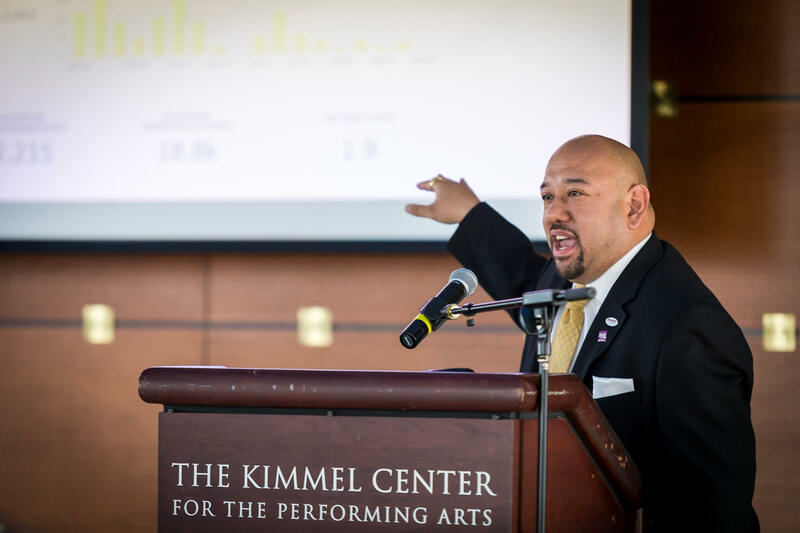 This joint conference will be bring the best of both organizations together, while still highlighting each groups’ cultural importance and uniqueness. 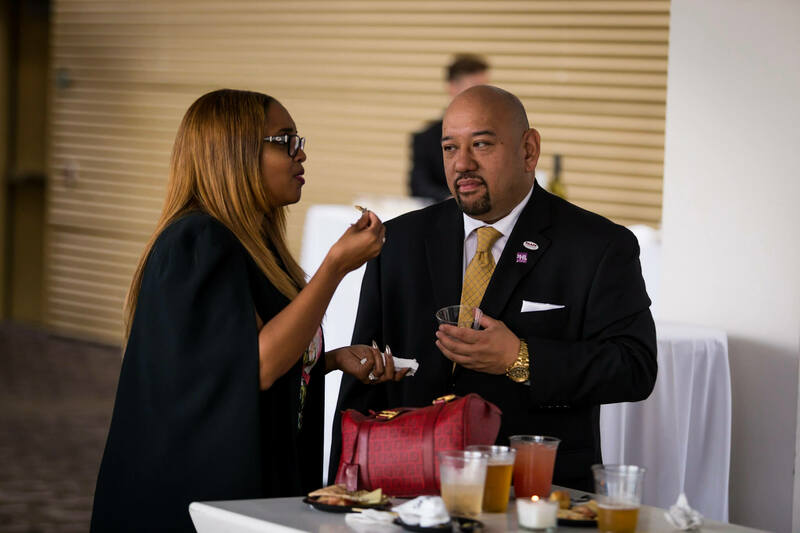 Regarding future collaborations, both NBMBAA and Prospanica are celebrating milestone anniversaries next year at separate conferences. 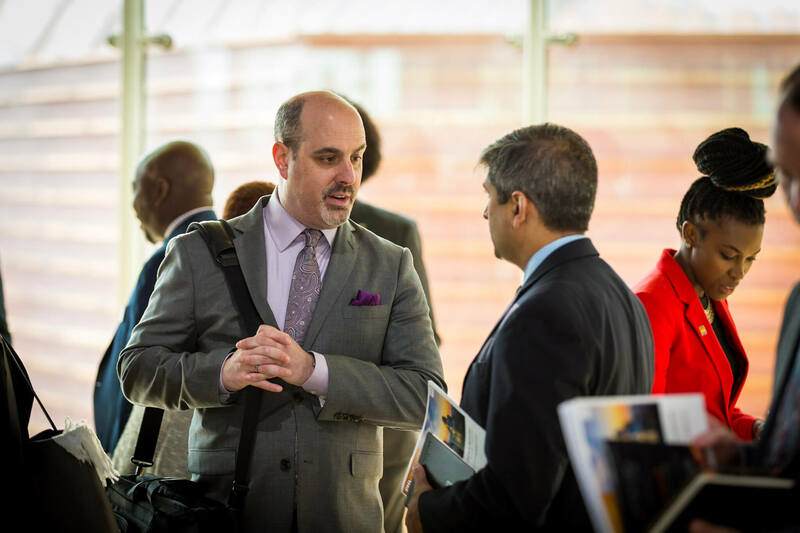 With the success of this year’s conference, I am sure opportunities for ongoing collaborations will be discussed. 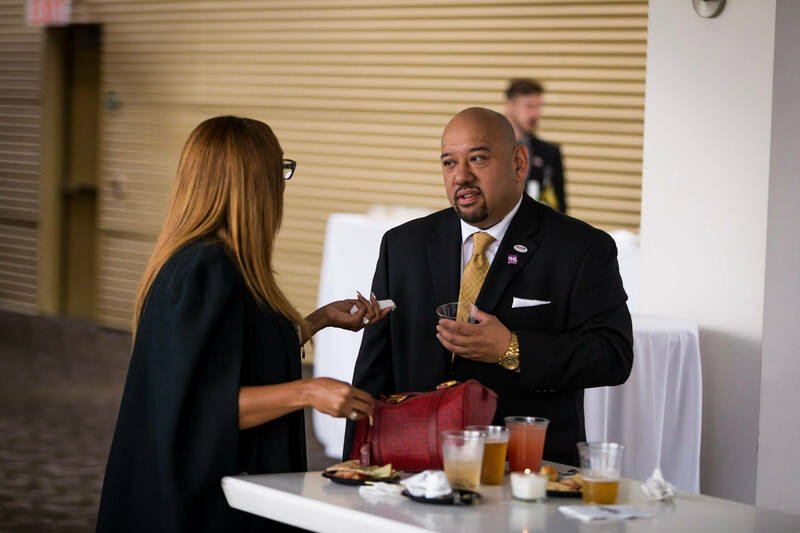 Whether the future conferences are together or separate, I have no doubt Prospanica will continue to drive innovative programming and work towards continuously improving our conference experience. 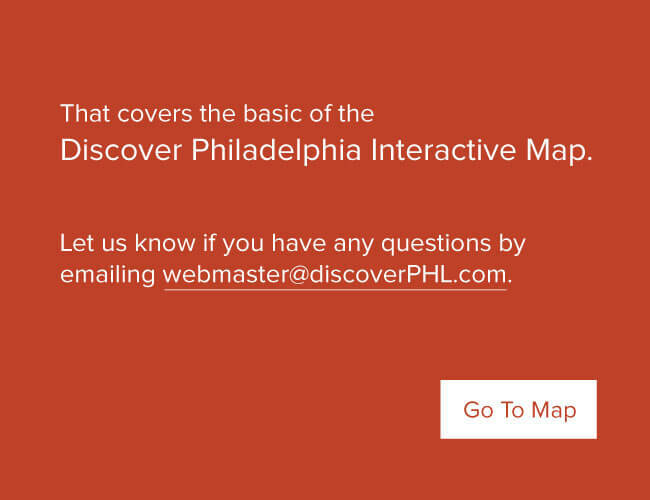 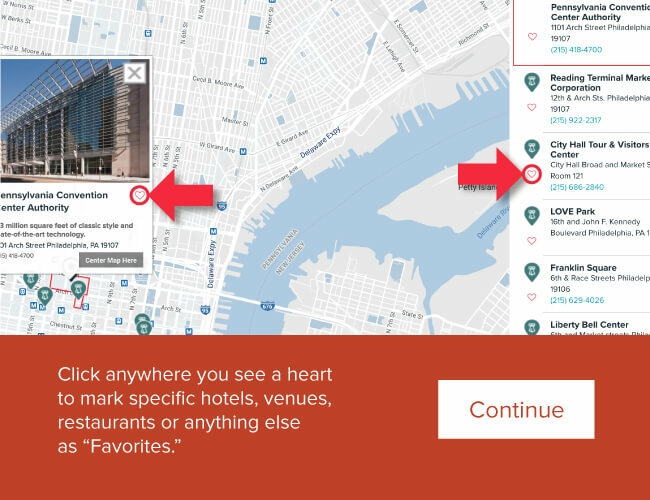 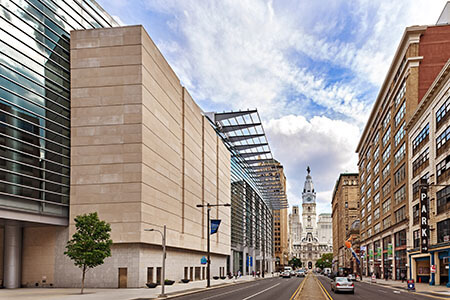 PHLCVB: Why do you think Philadelphia was a great choice for this conference? 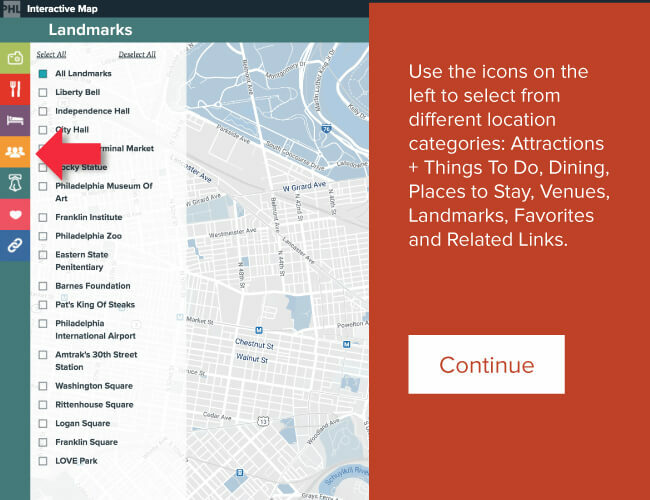 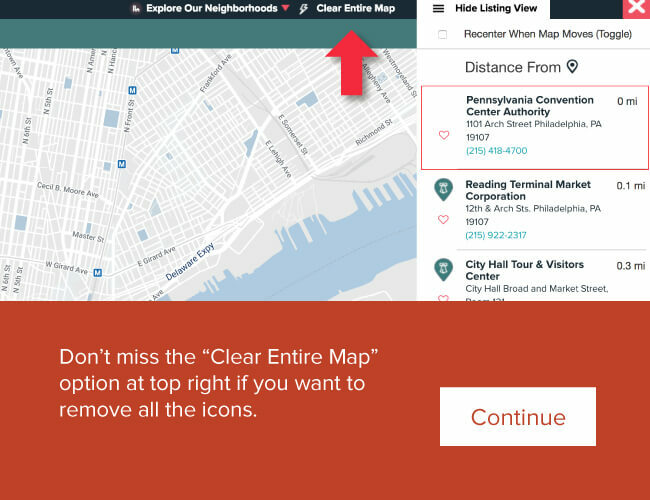 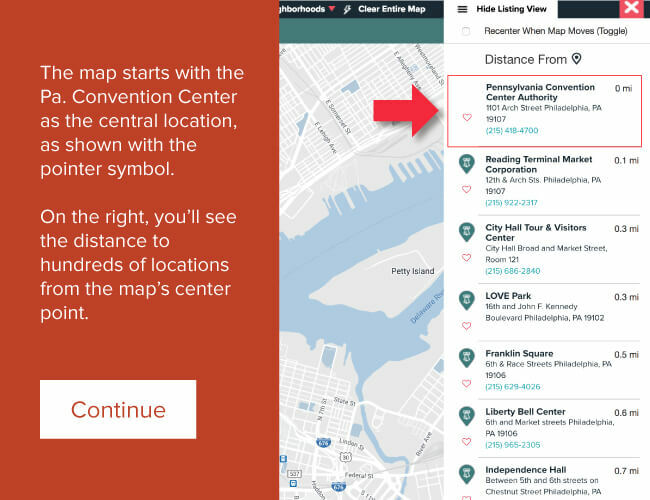 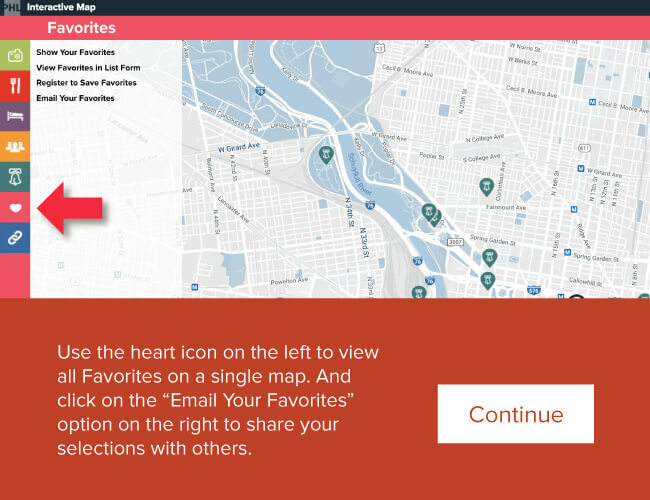 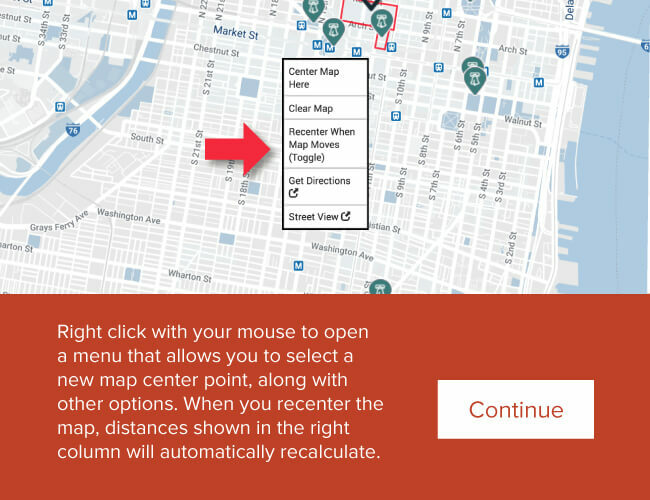 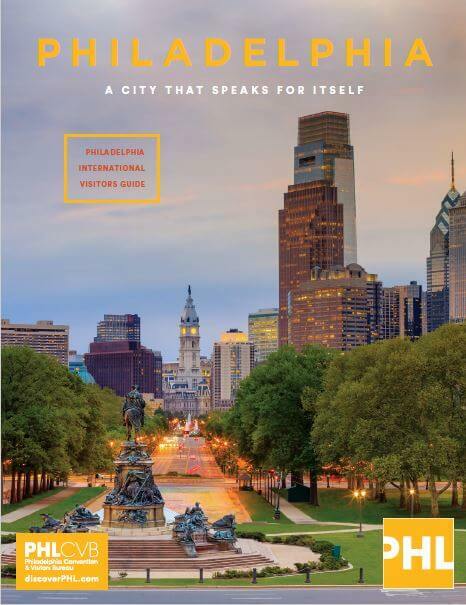 SW: Philadelphia is home to the Liberty Bell, the signing of the Declaration of Independence, the world-famous Philly Cheesesteak, Avenue of the Arts, amazing restaurants and much more. The city is giving birth to a new generation of creative, socially conscious, and energized leaders designing this Modern Renaissance City. 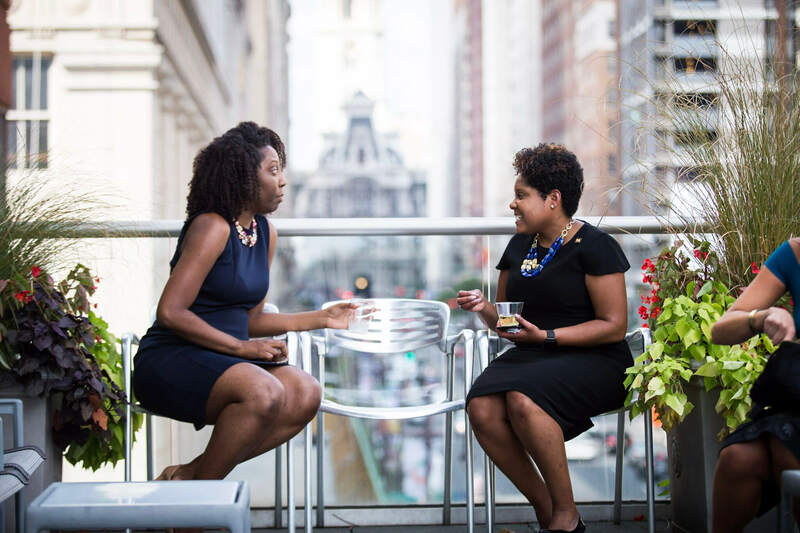 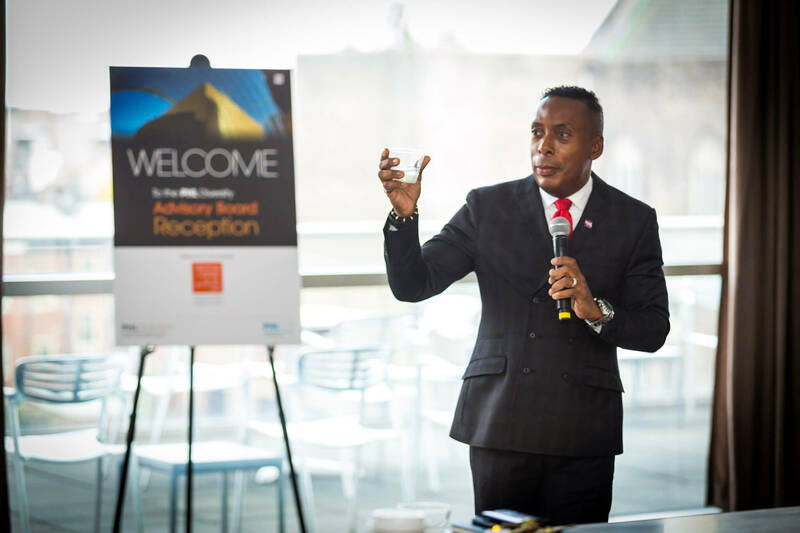 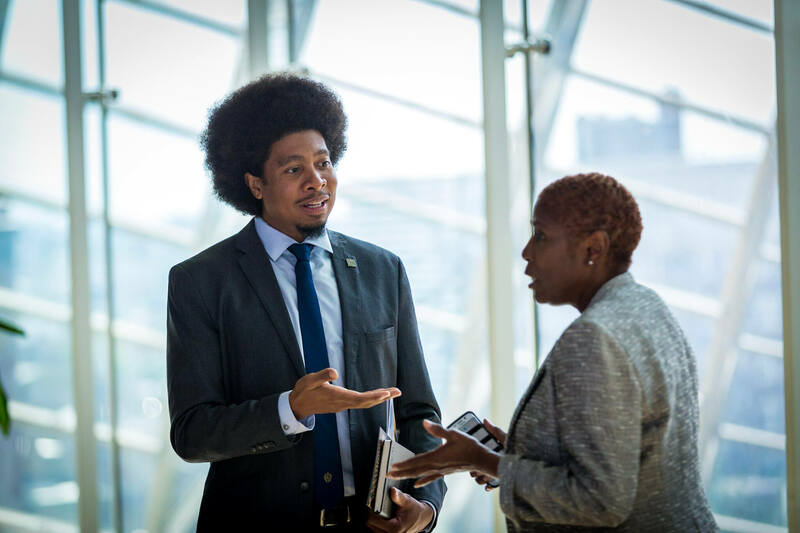 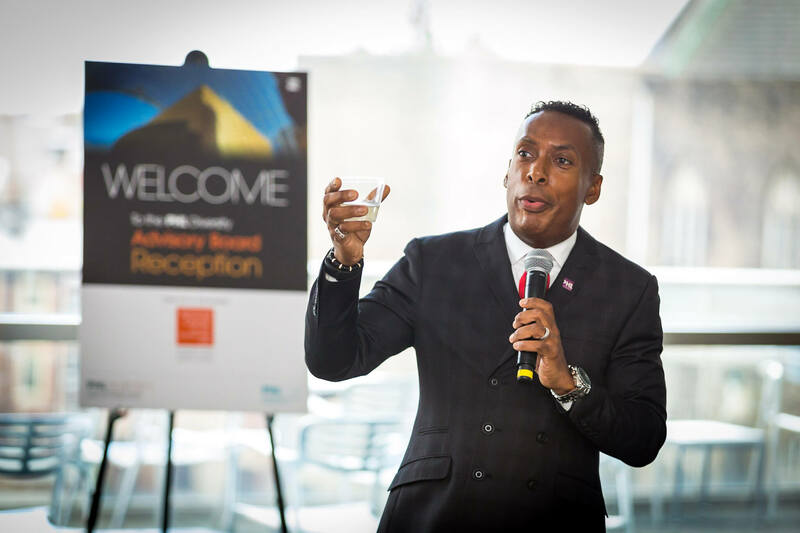 With a spirit of independence, the historic city of Philadelphia was a remarkable setting for the 39th Annual National Black MBA Conference – the largest gathering of diverse business professionals and diversity Career Expo in the country. 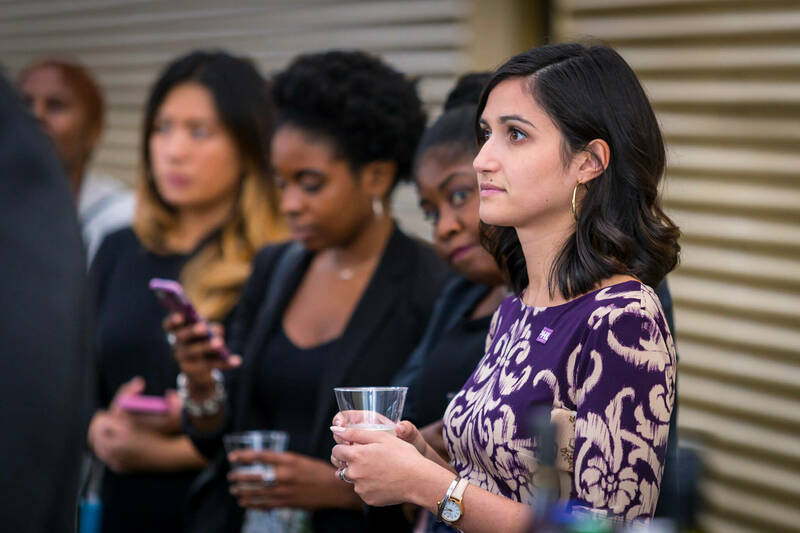 Click here to learn more about Prospanica. 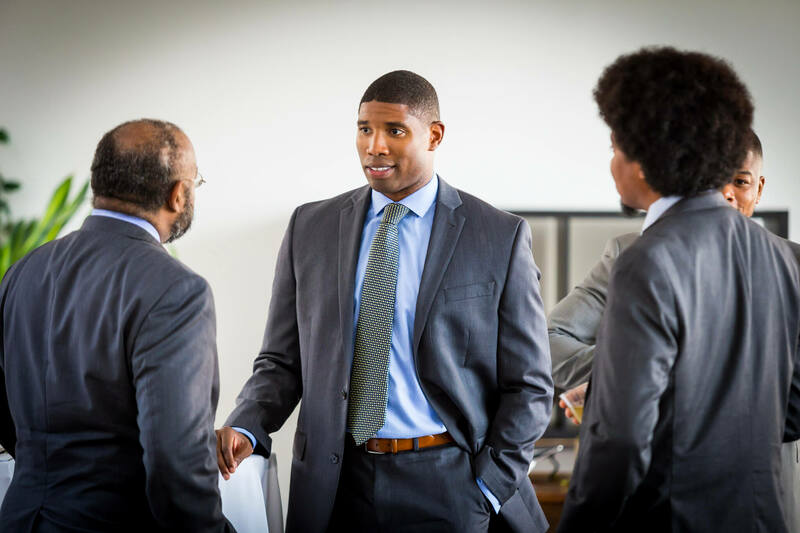 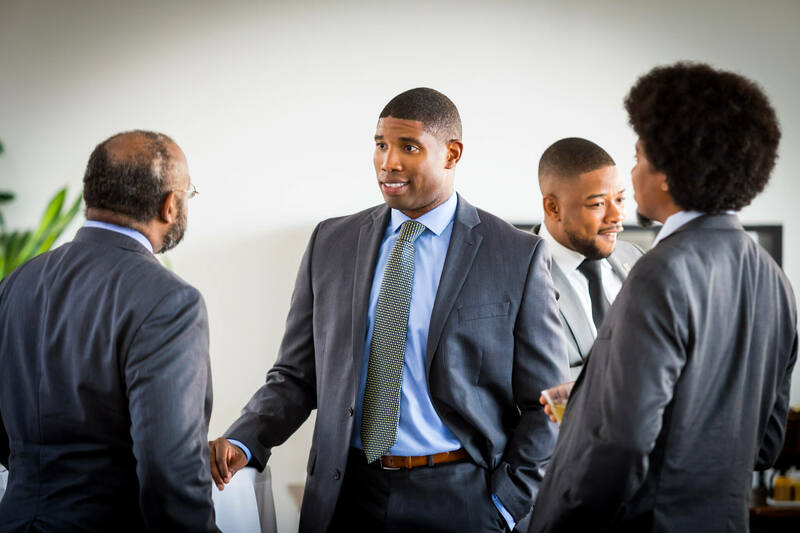 Click here to learn more about the National Black MBA Association.